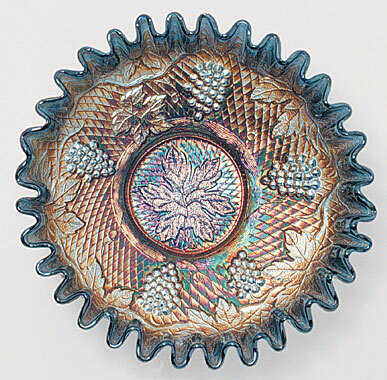 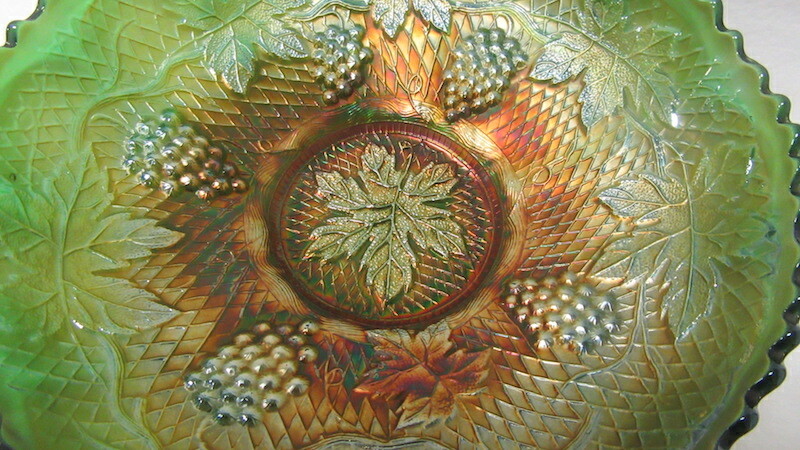 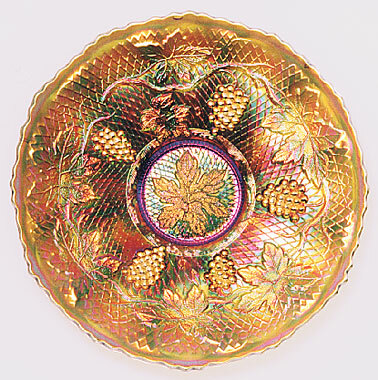 Concord is the only grape pattern with a latticed background. 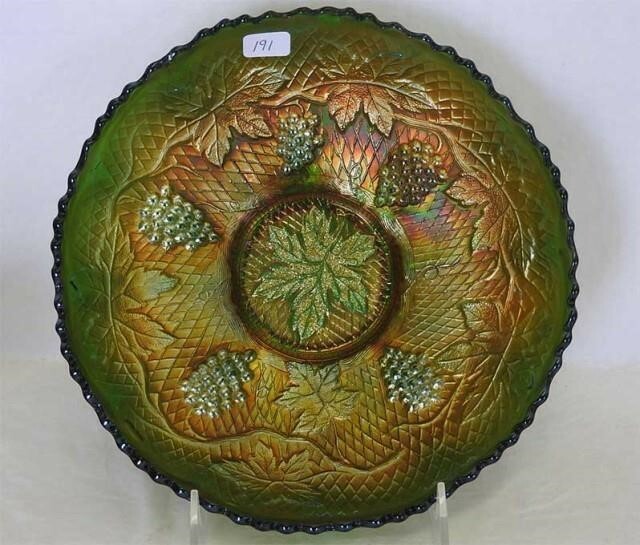 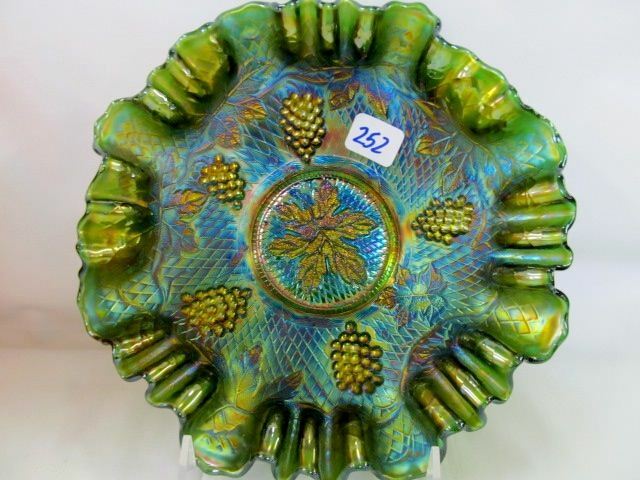 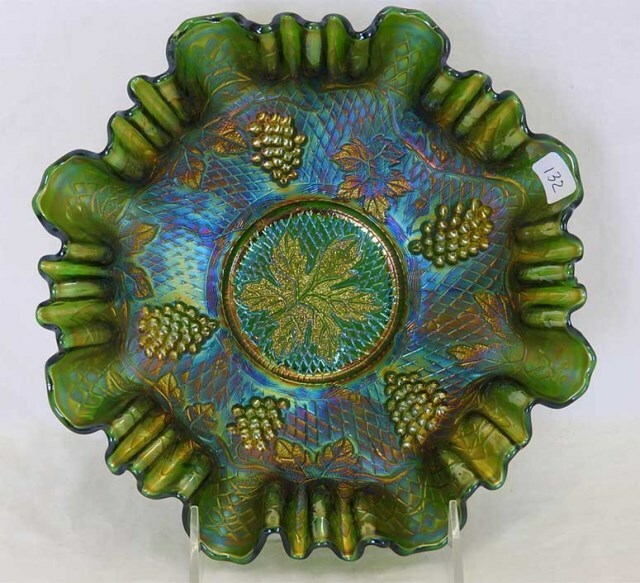 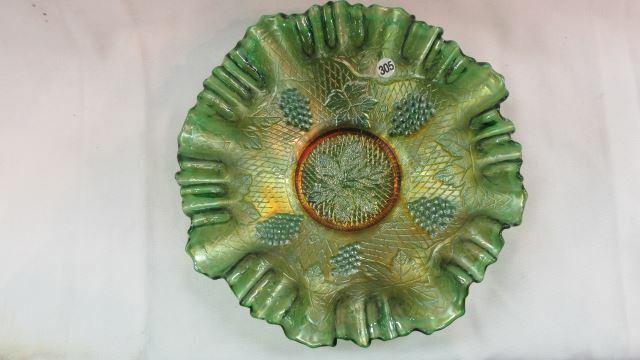 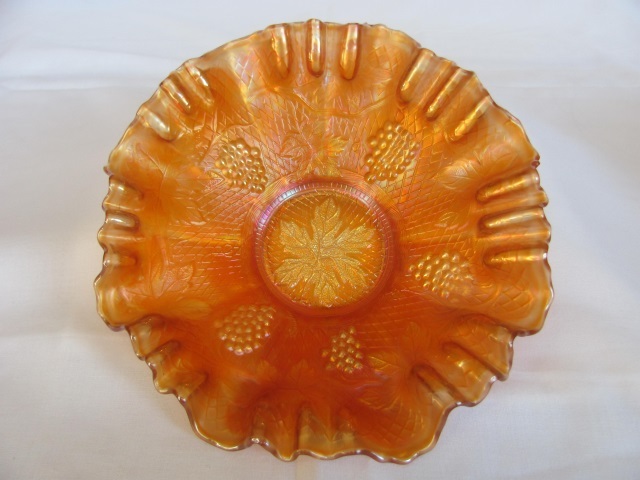 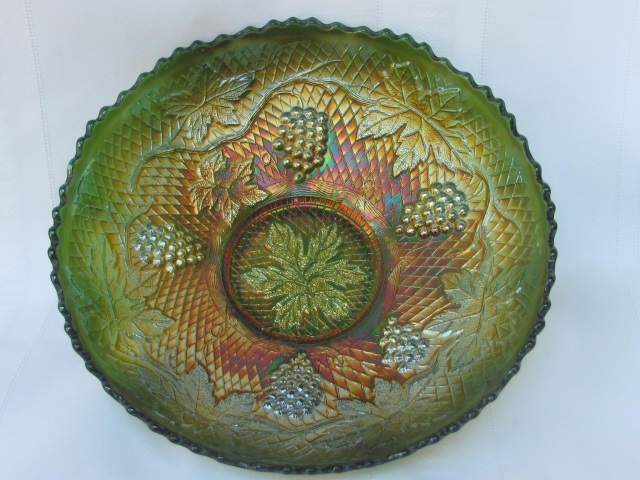 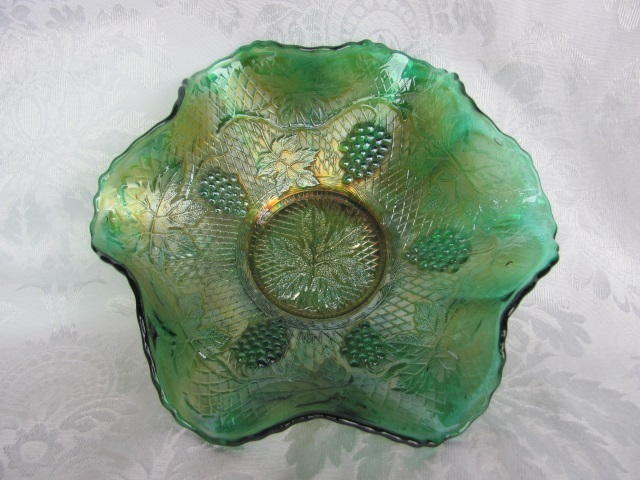 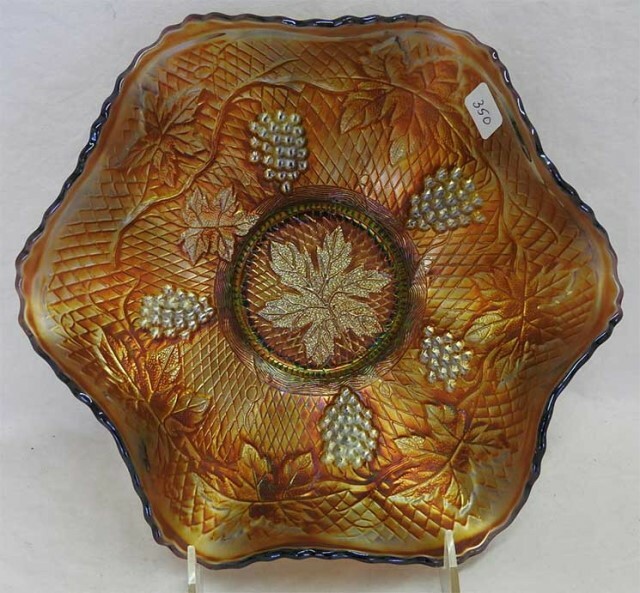 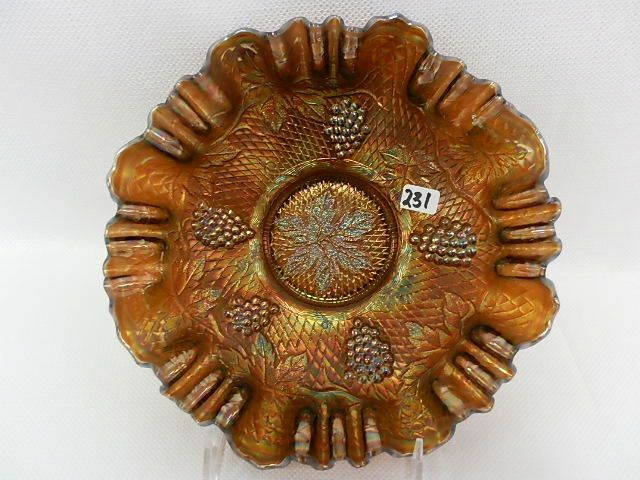 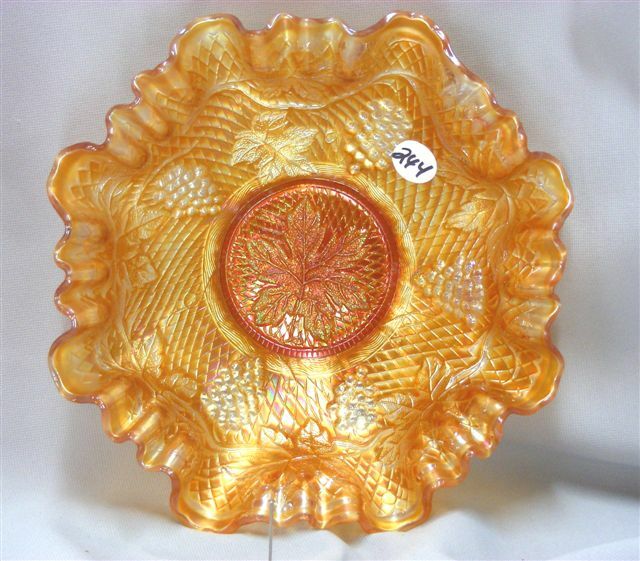 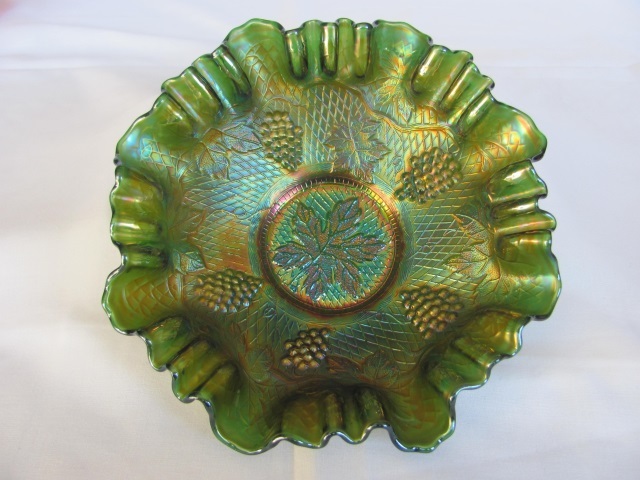 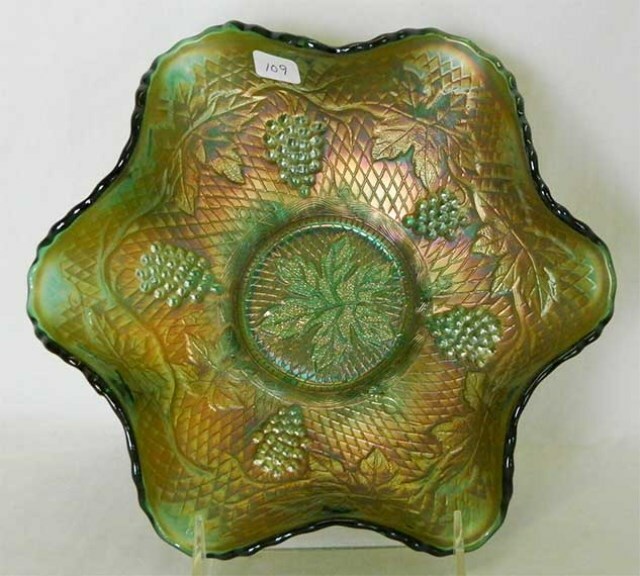 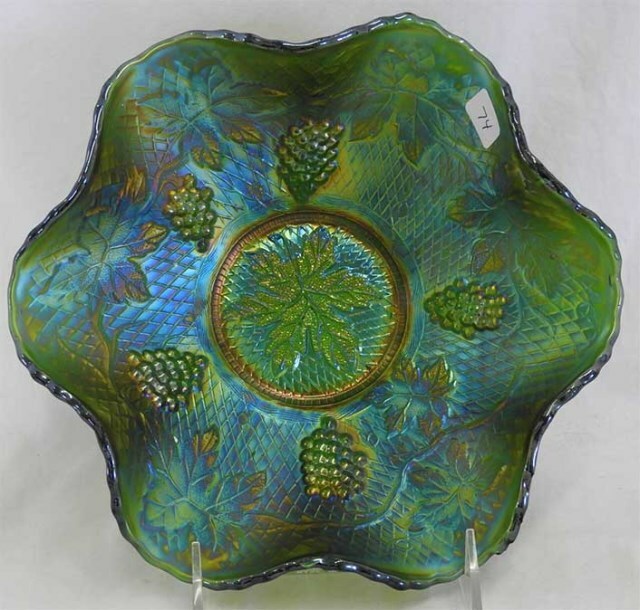 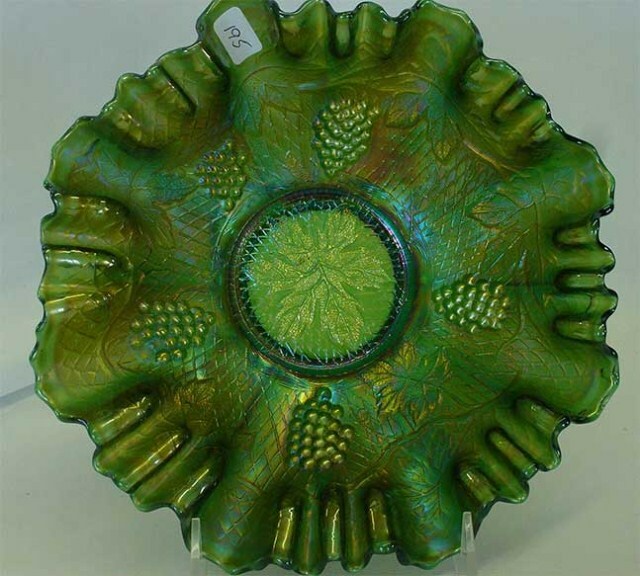 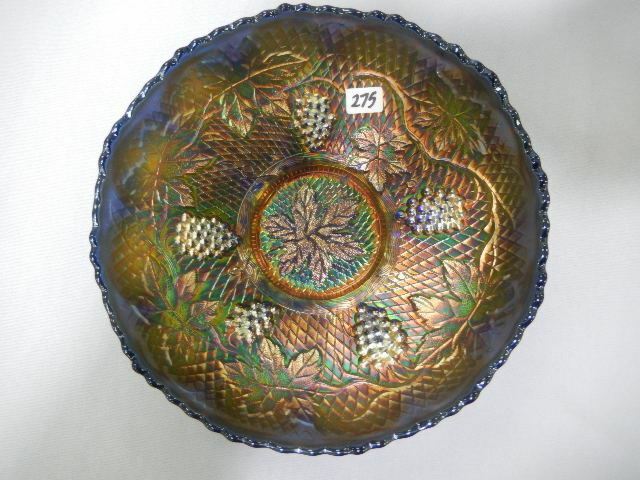 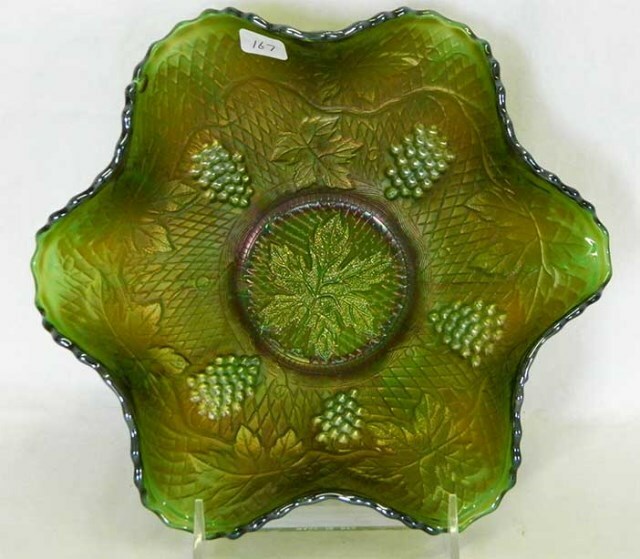 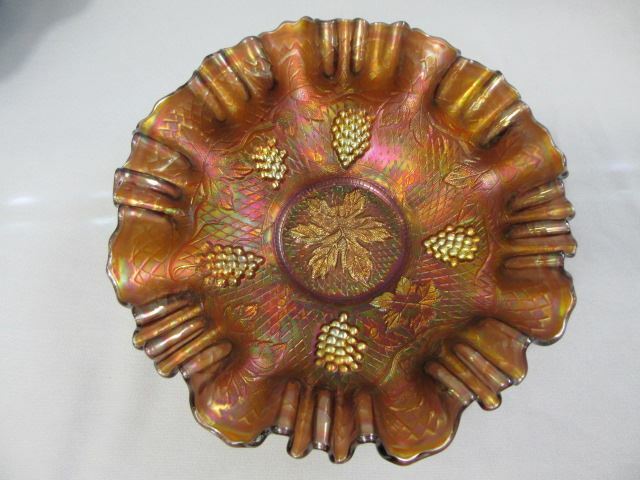 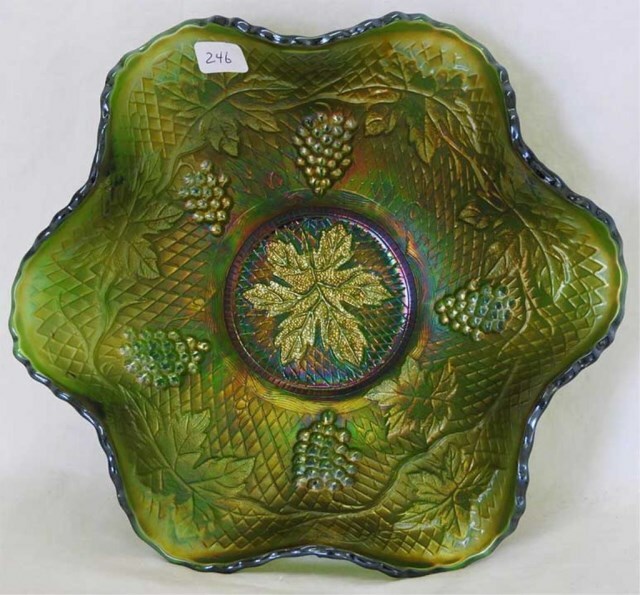 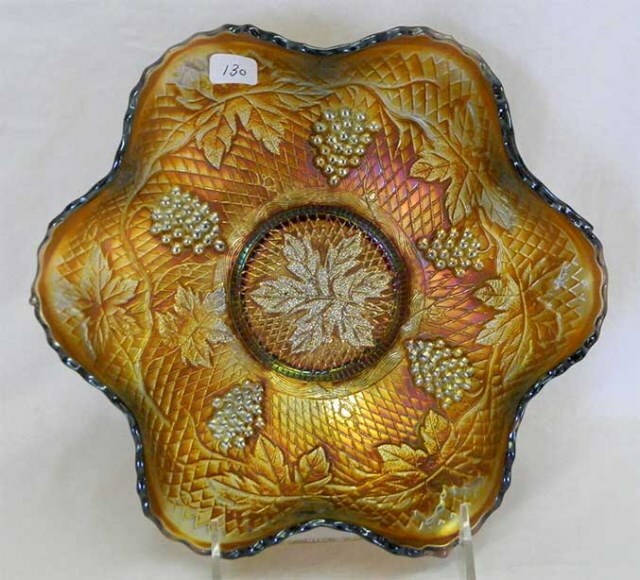 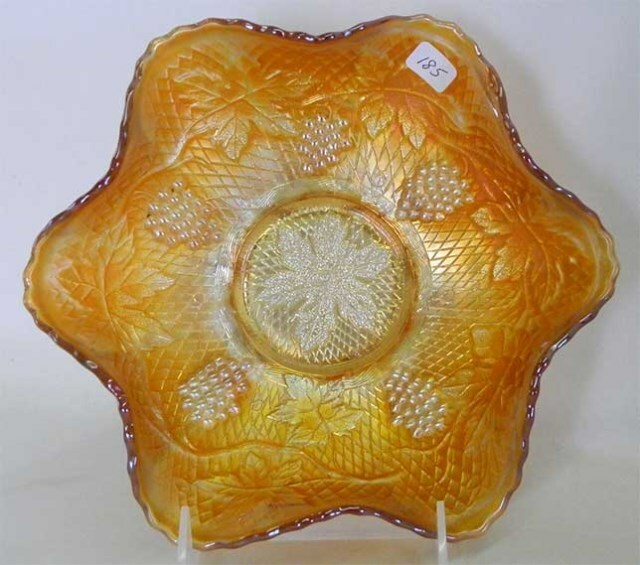 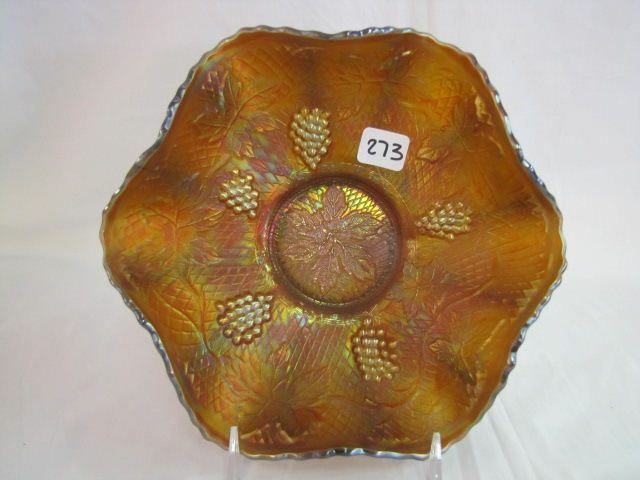 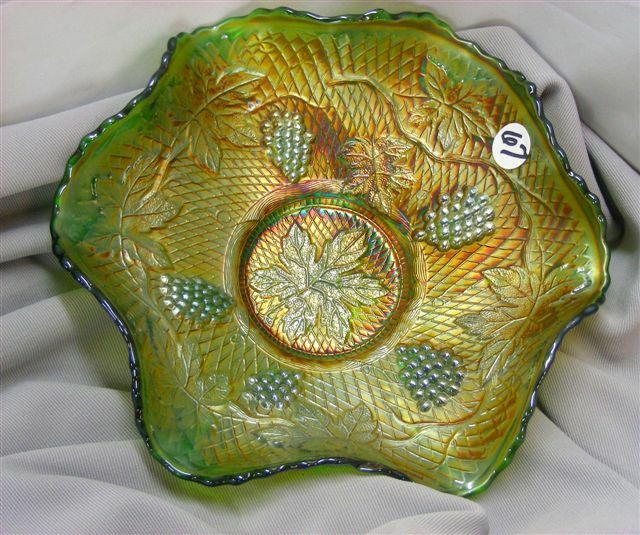 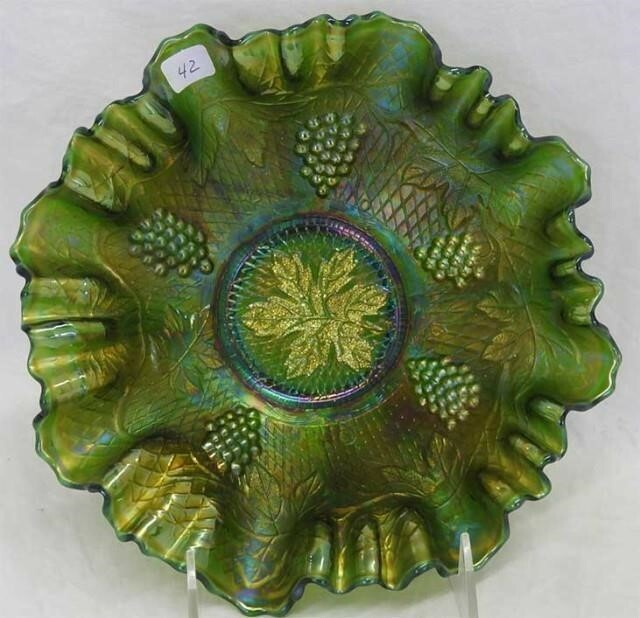 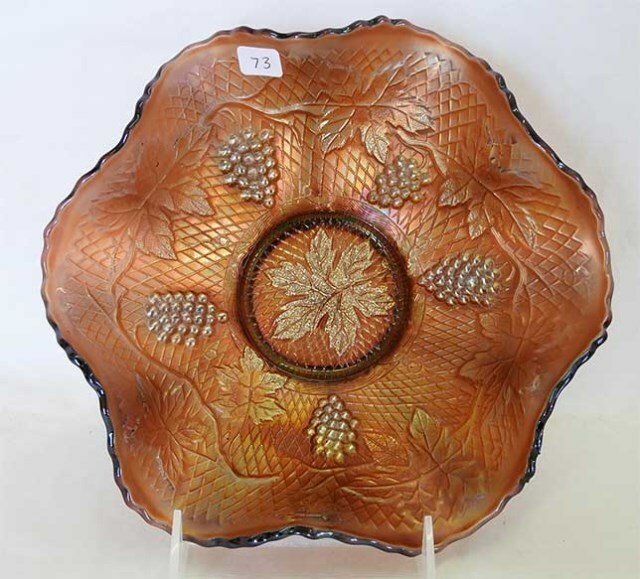 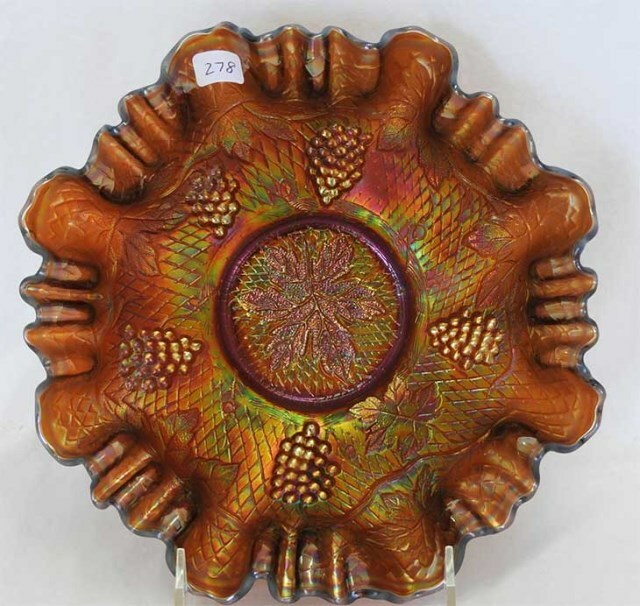 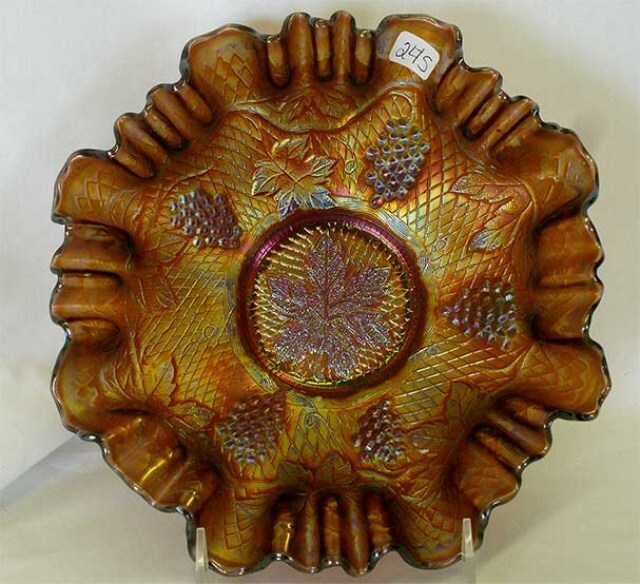 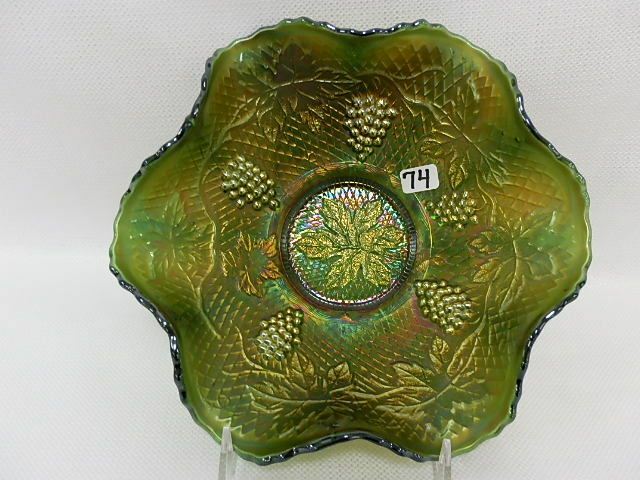 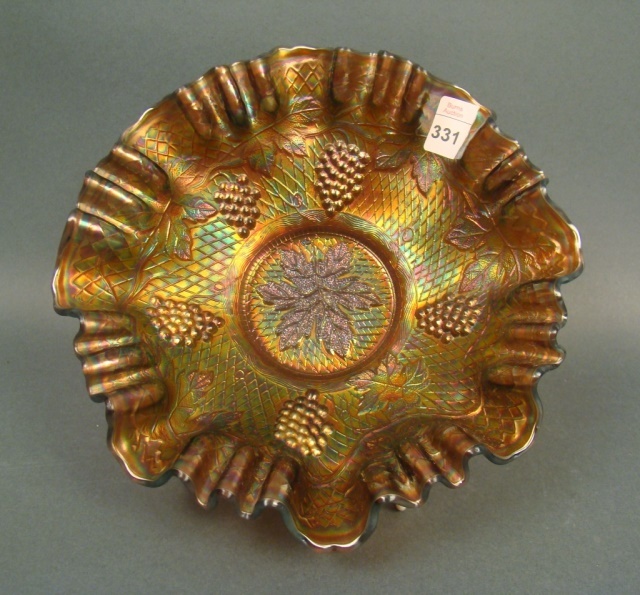 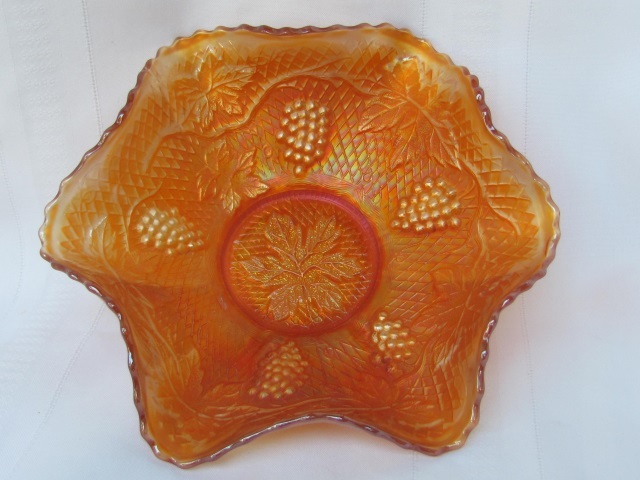 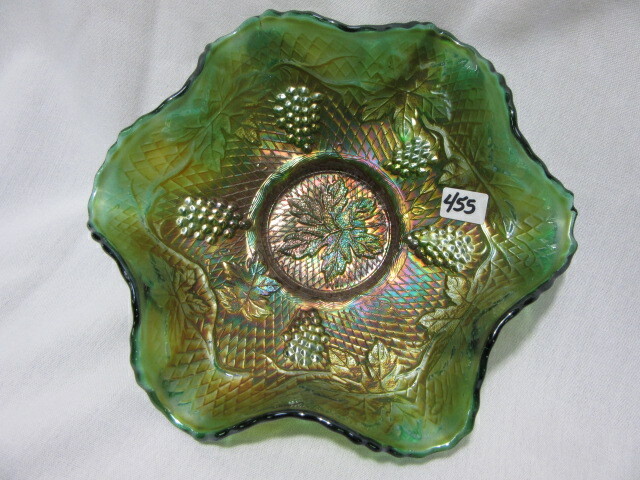 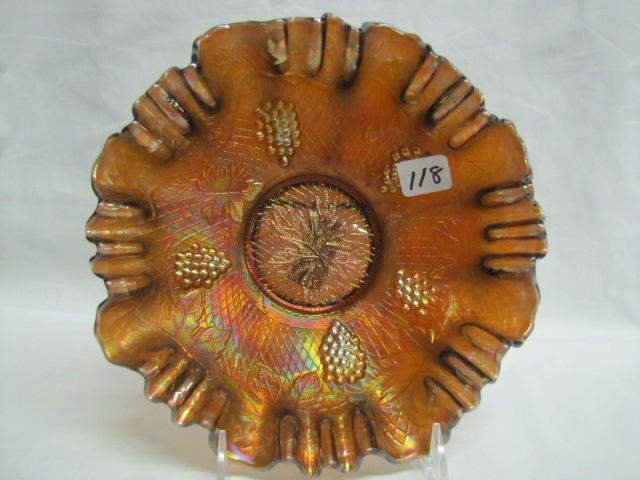 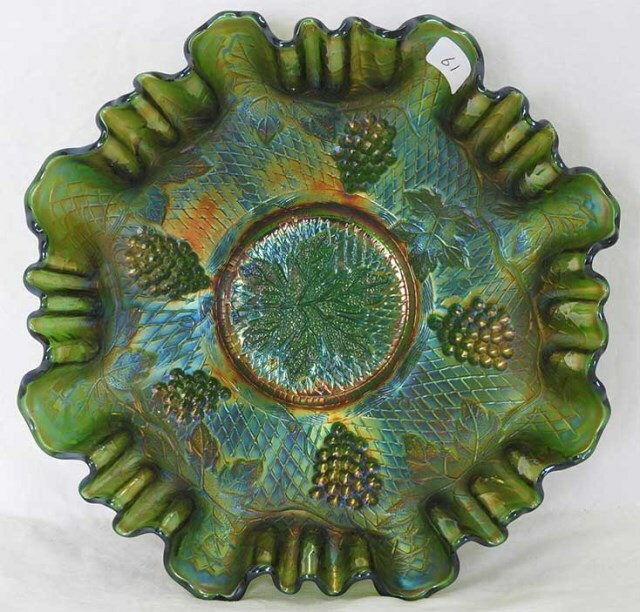 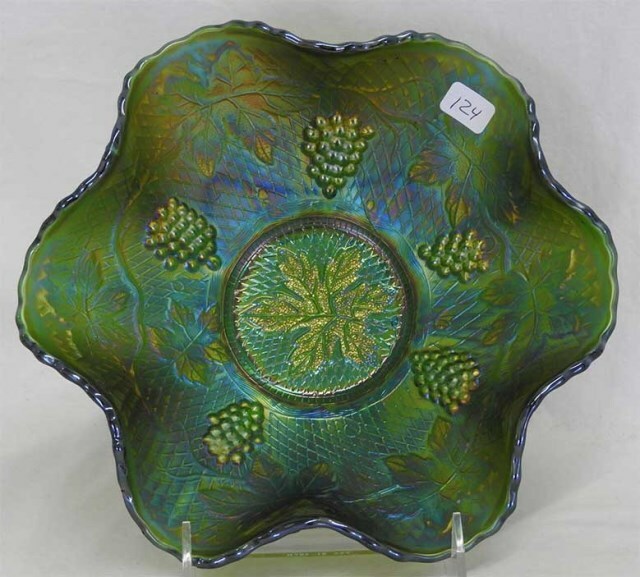 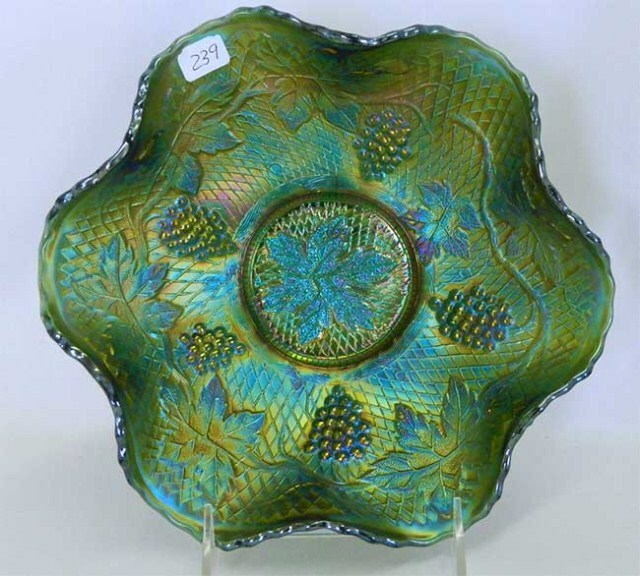 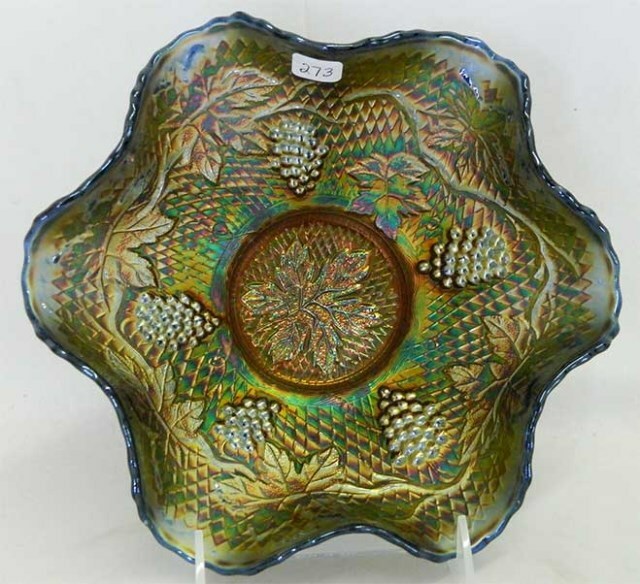 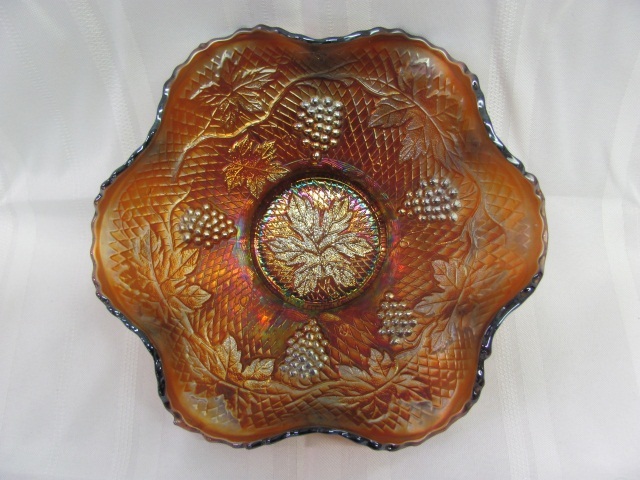 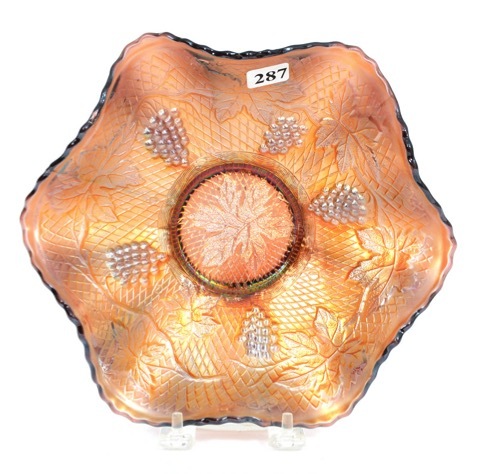 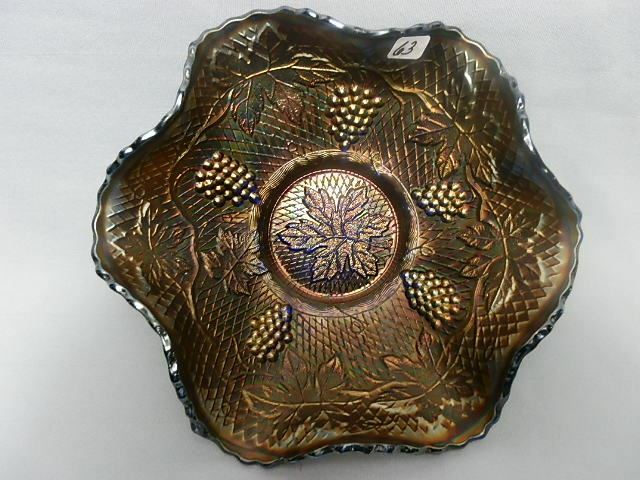 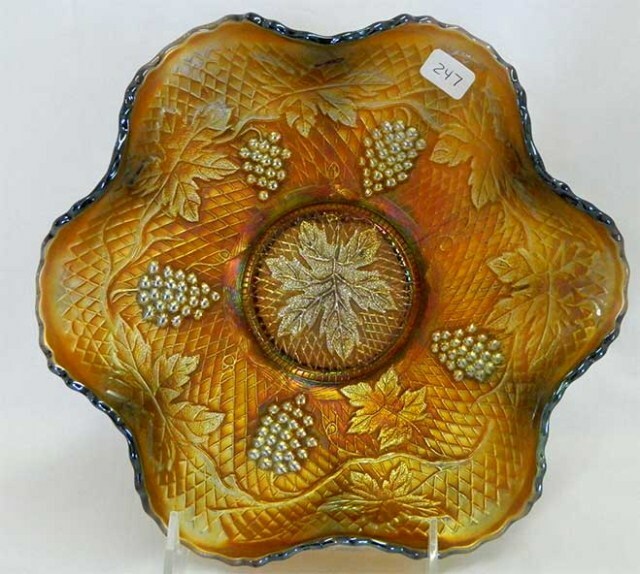 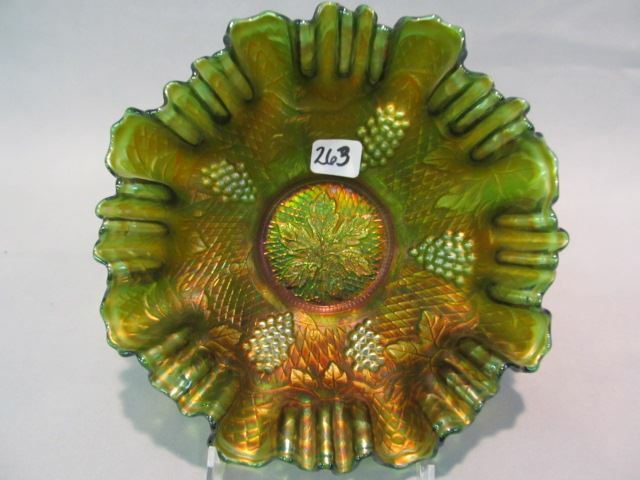 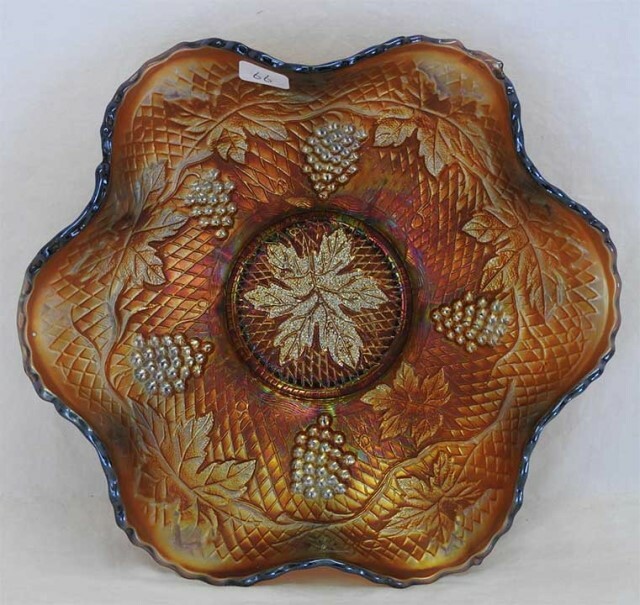 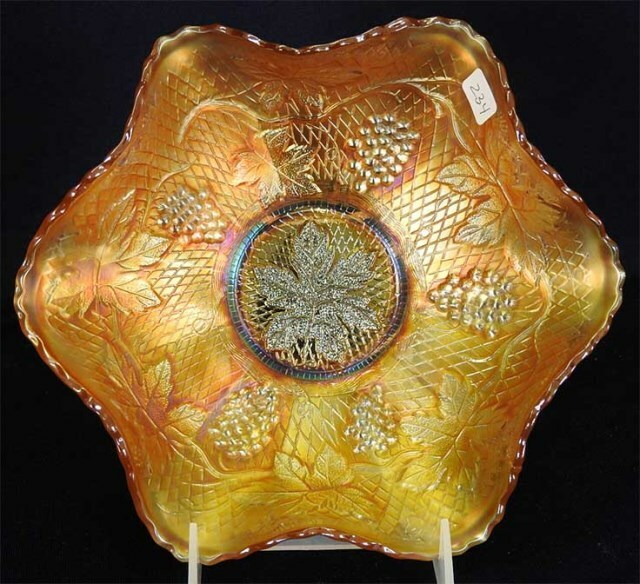 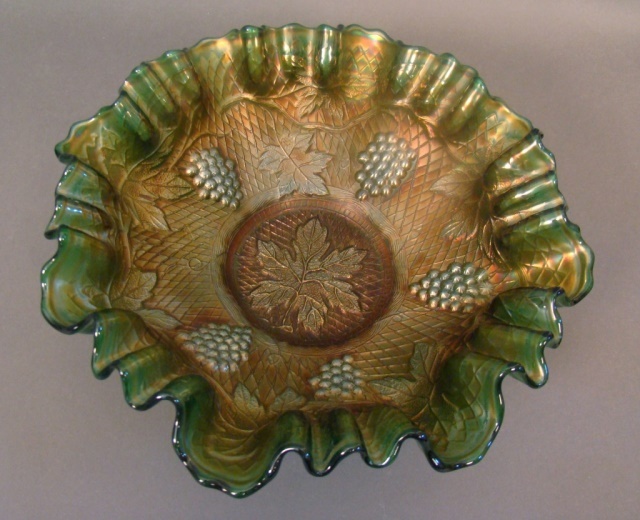 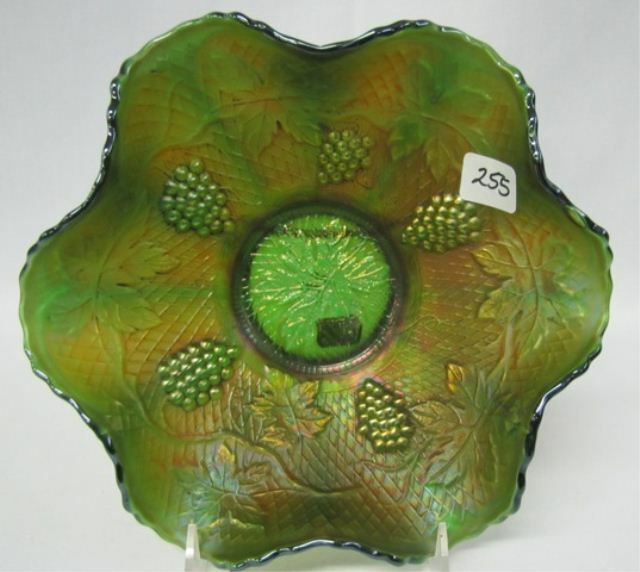 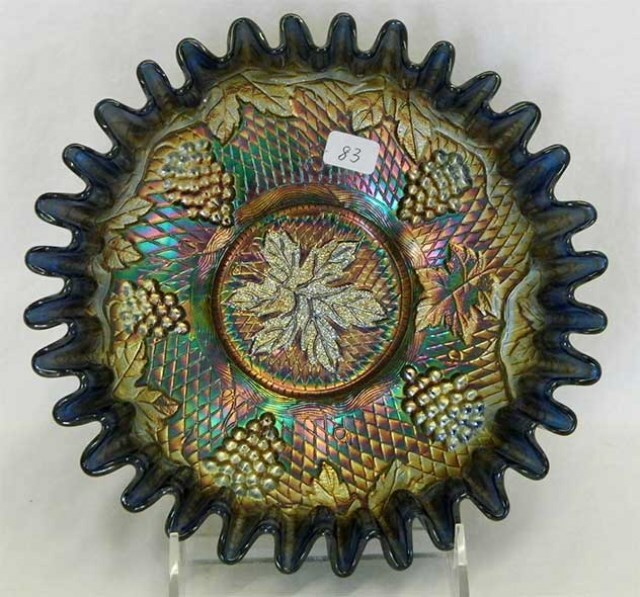 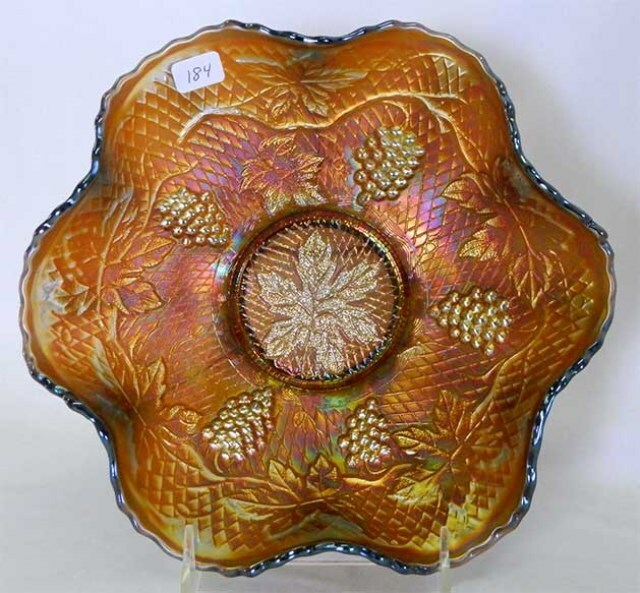 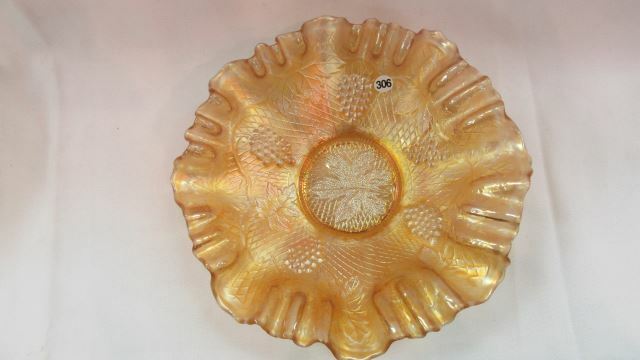 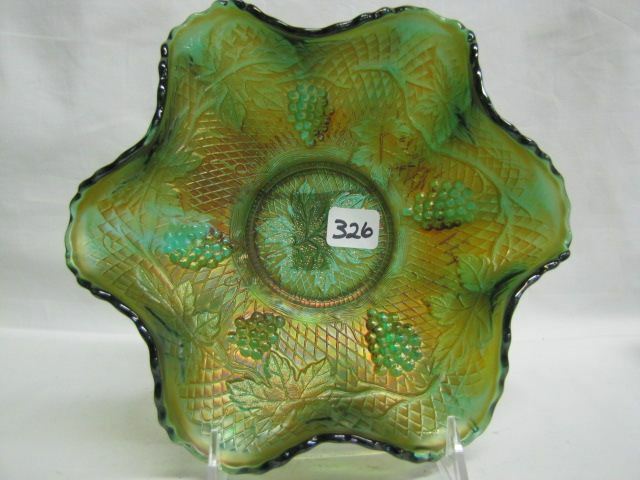 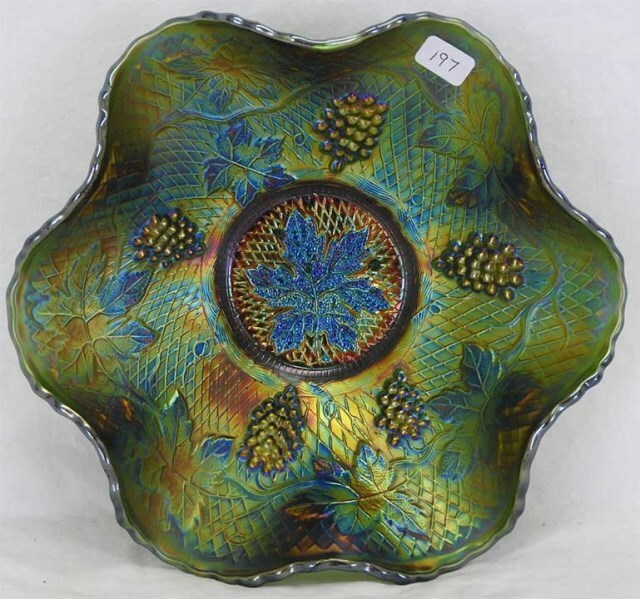 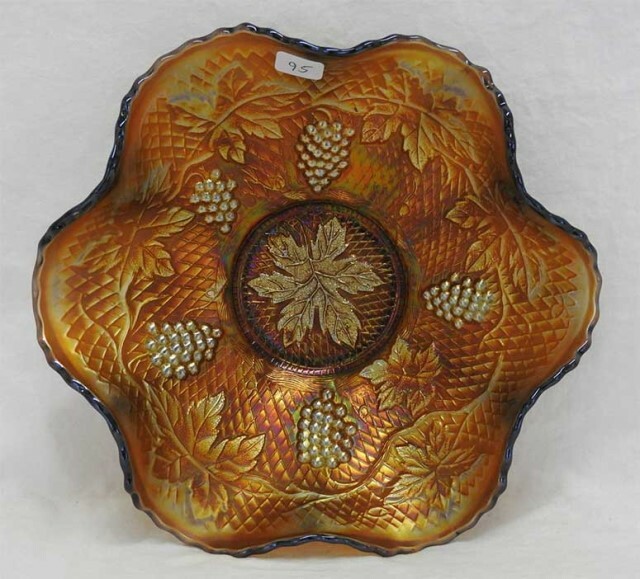 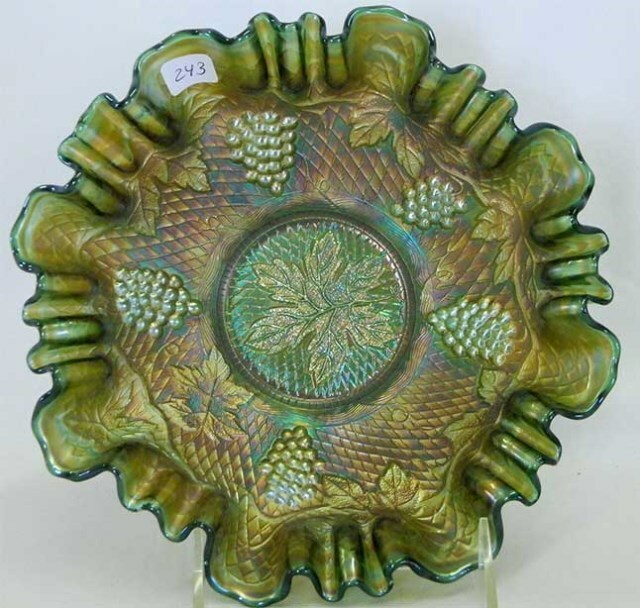 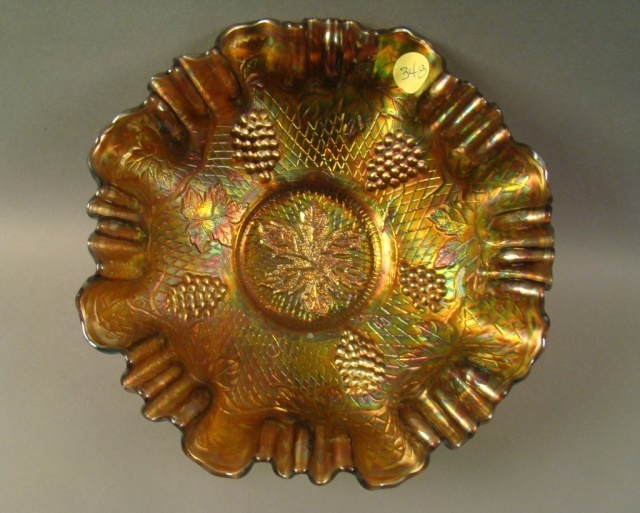 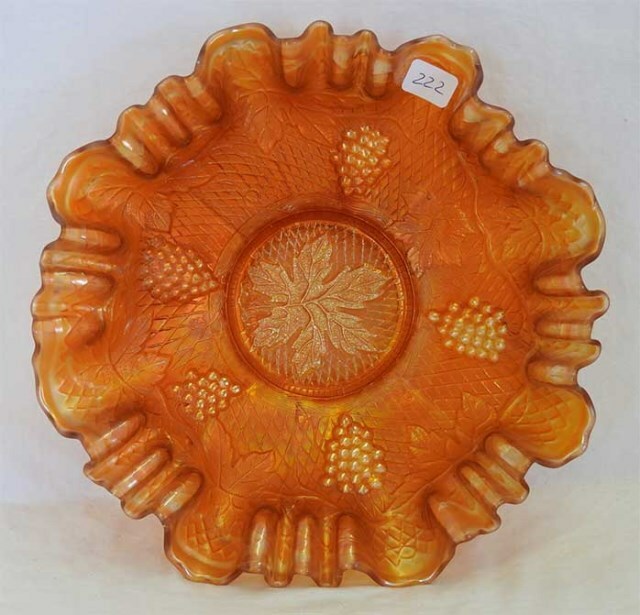 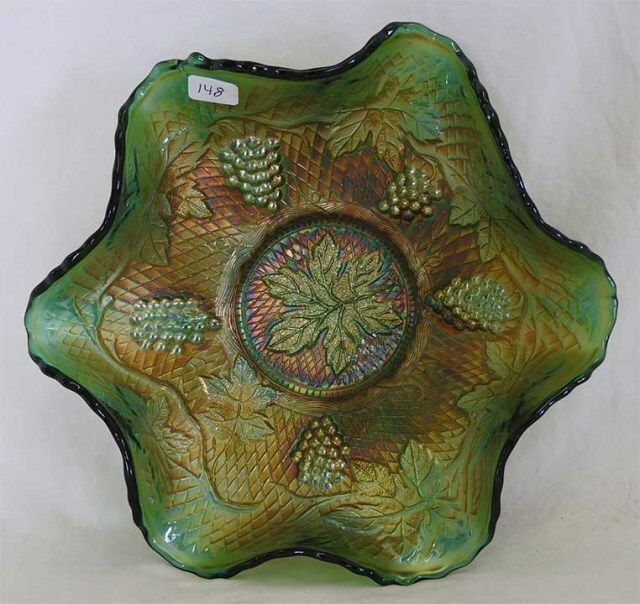 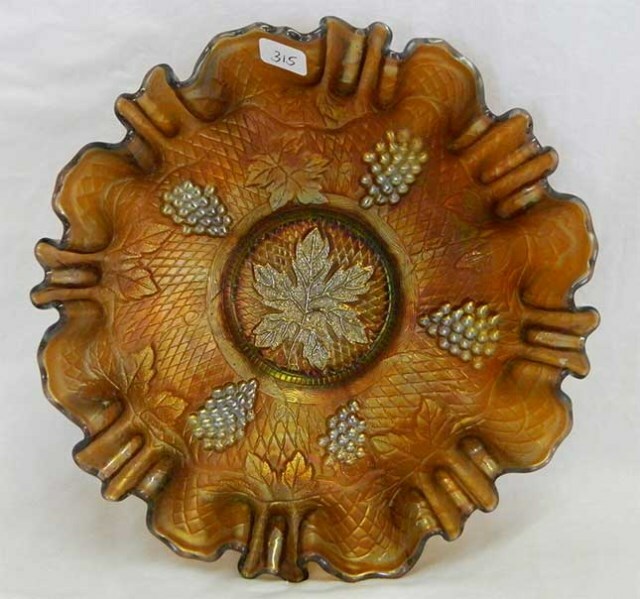 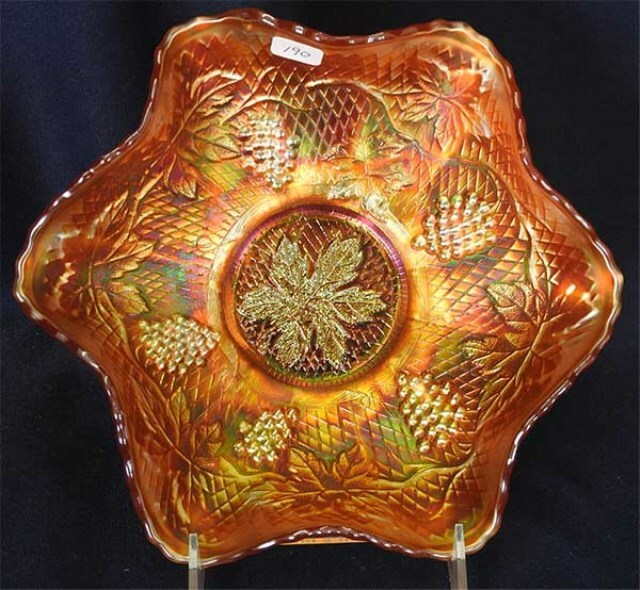 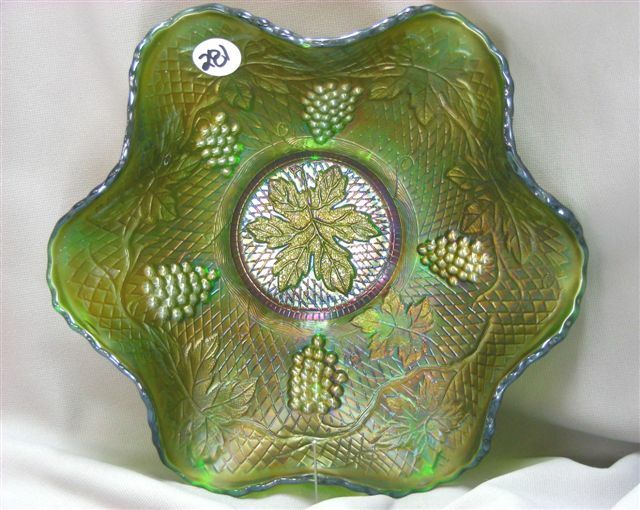 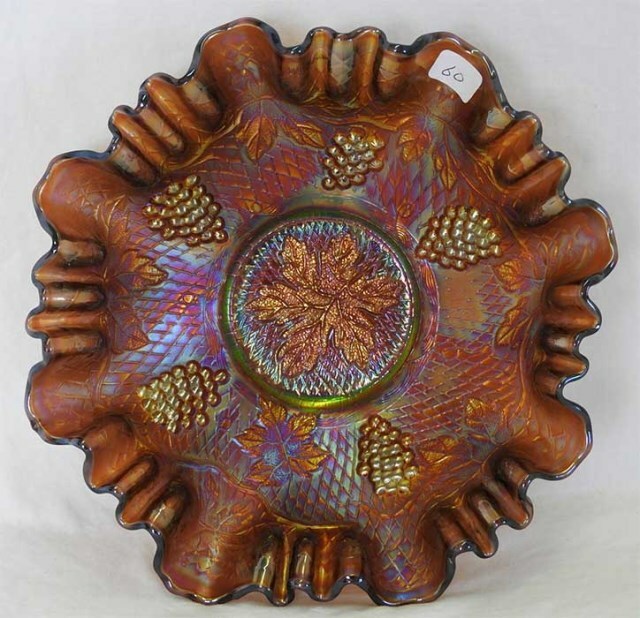 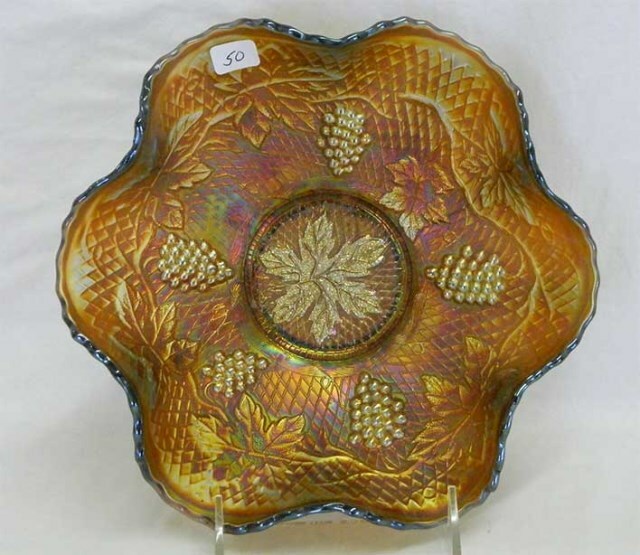 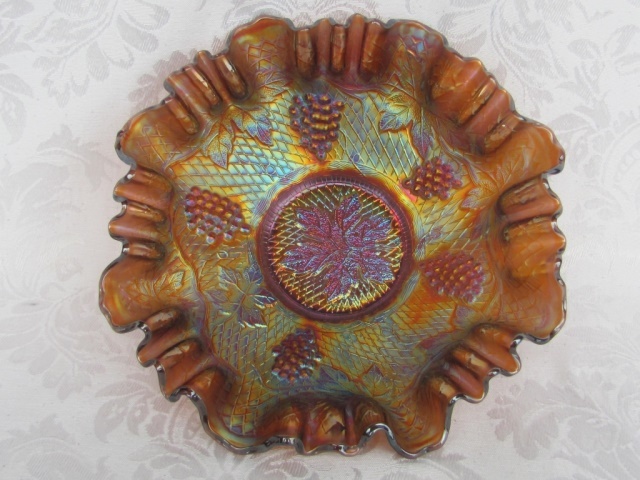 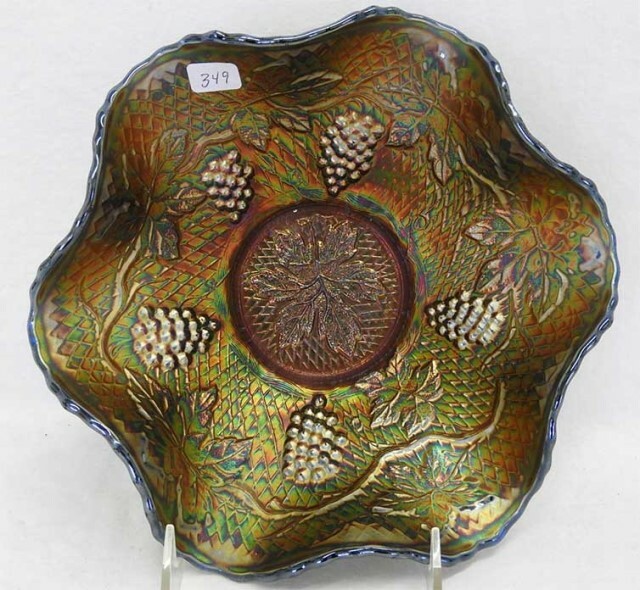 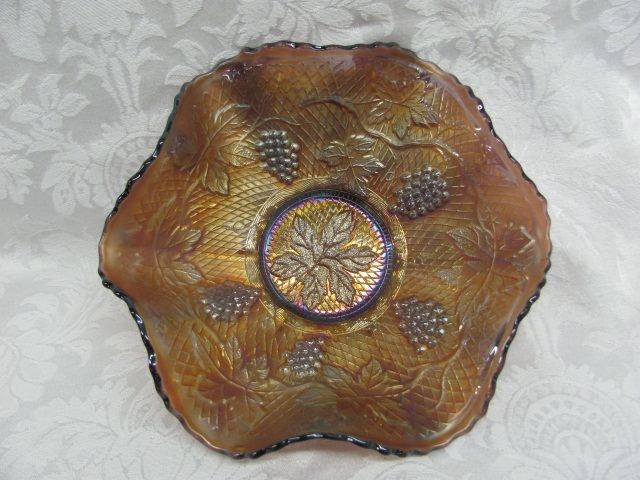 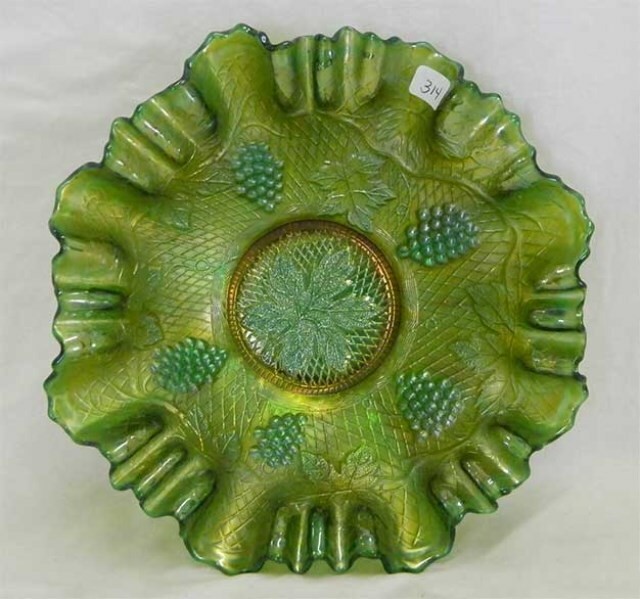 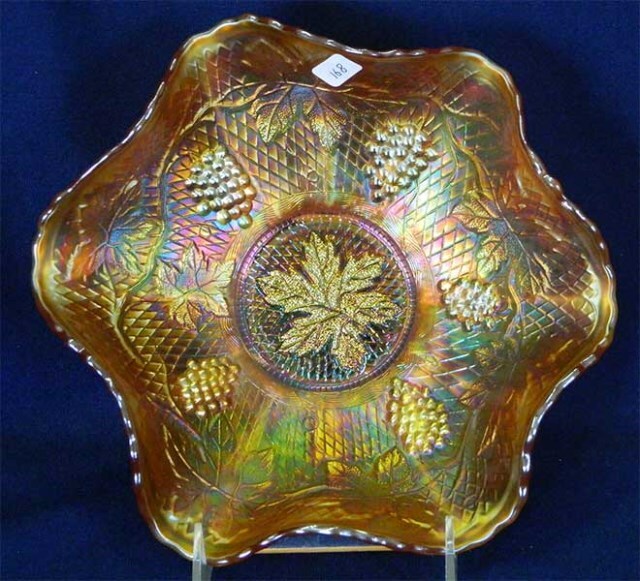 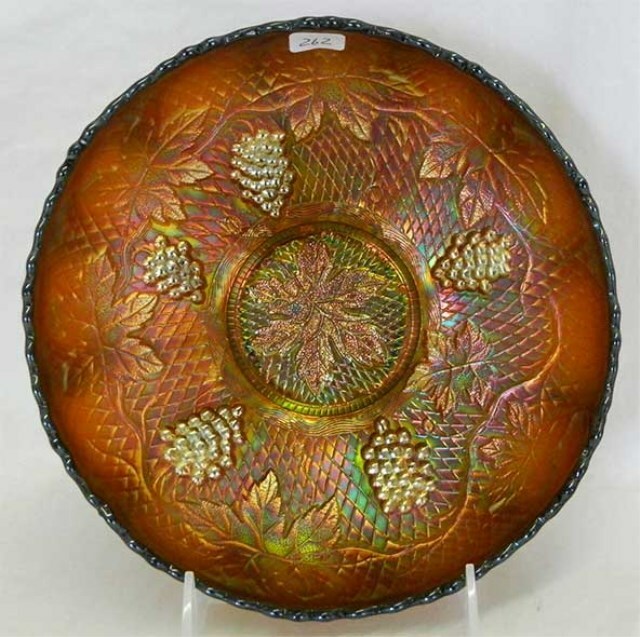 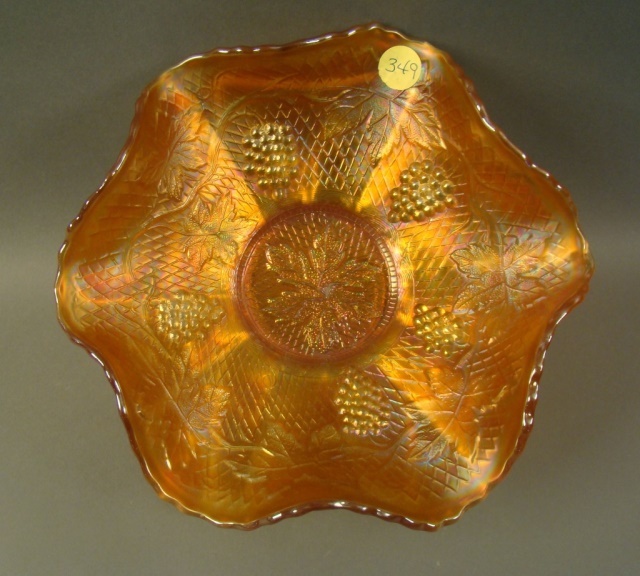 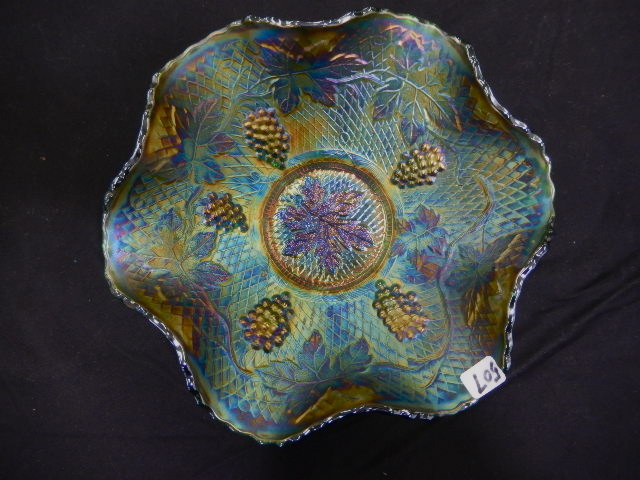 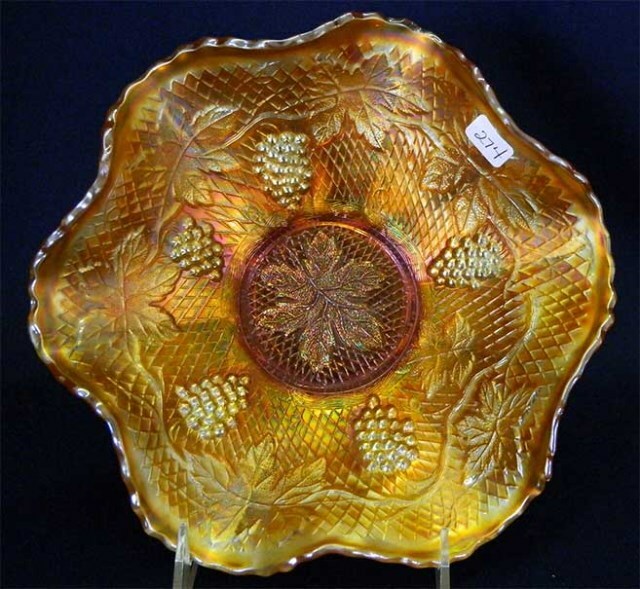 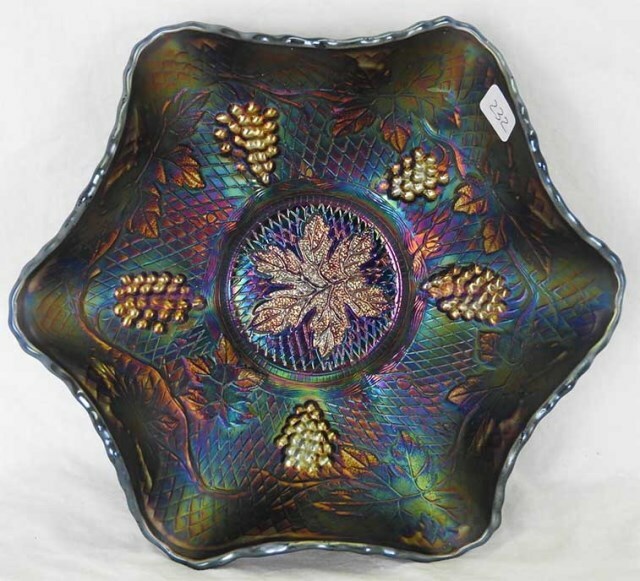 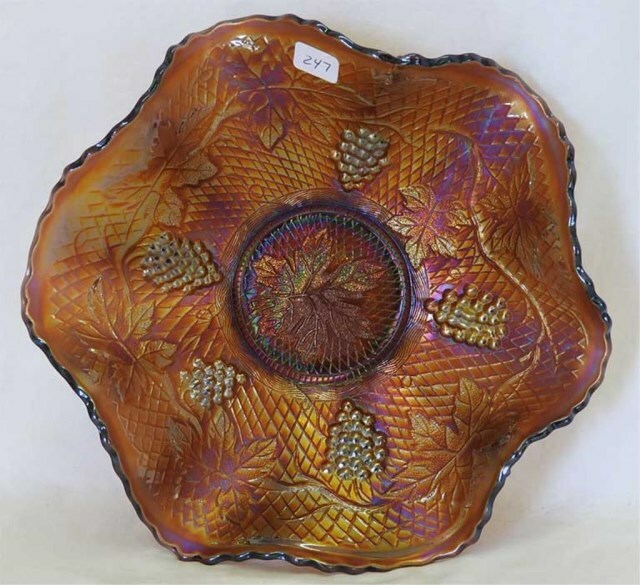 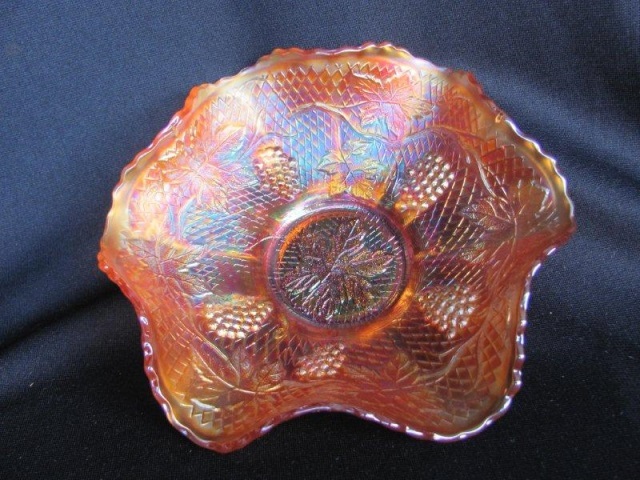 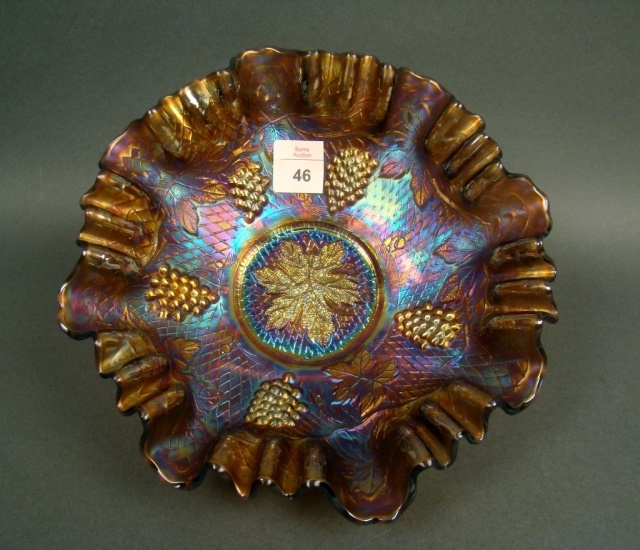 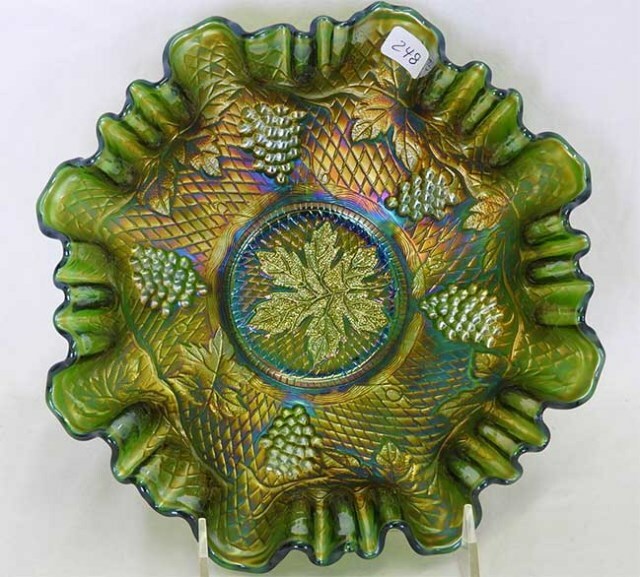 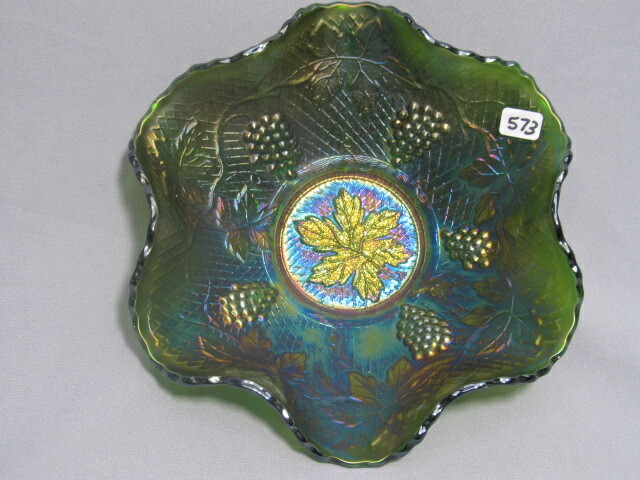 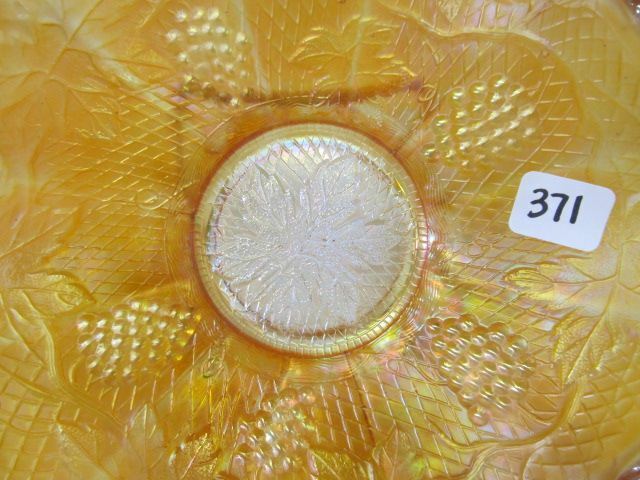 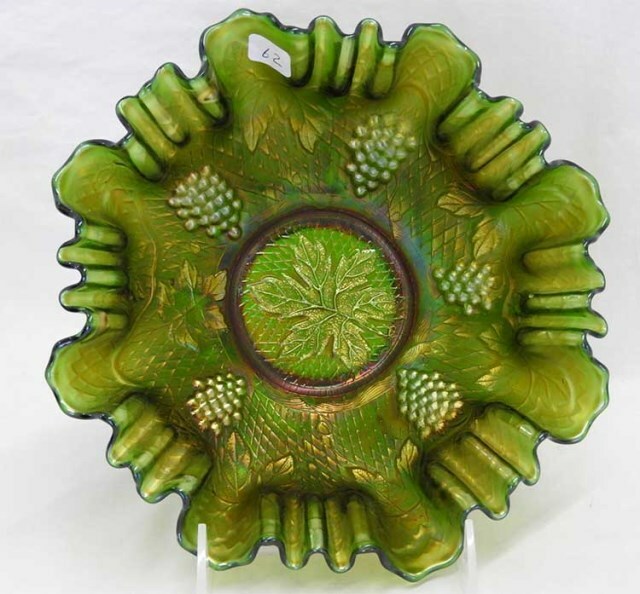 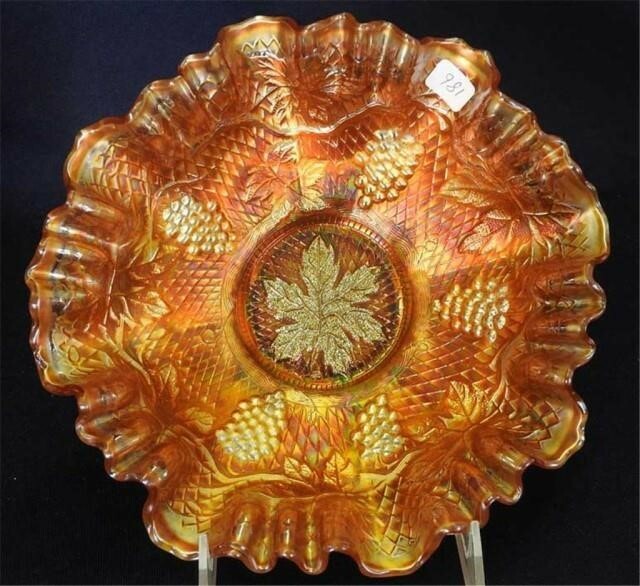 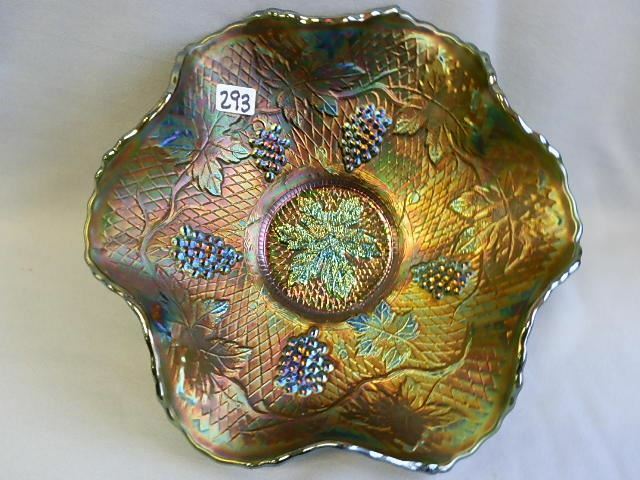 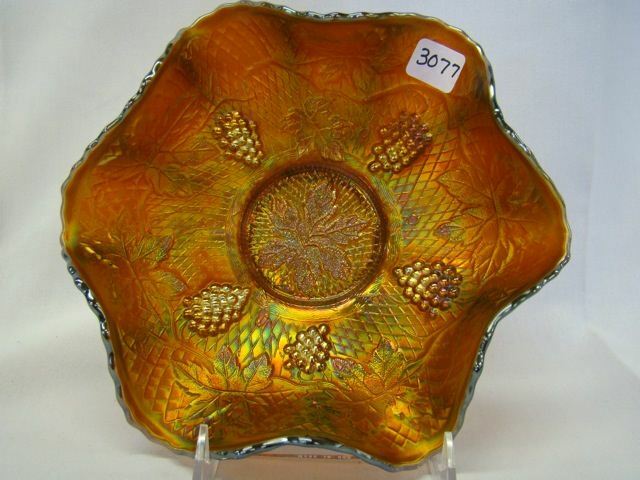 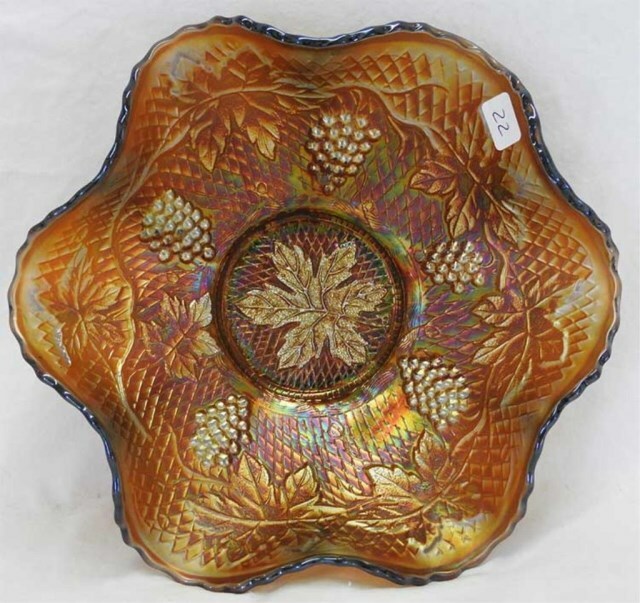 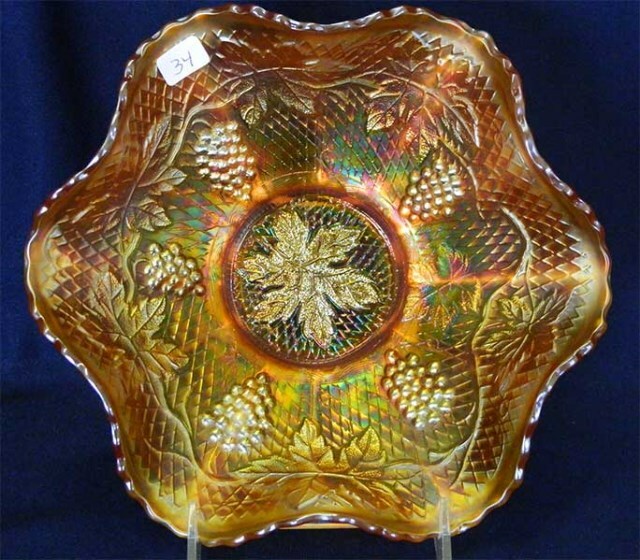 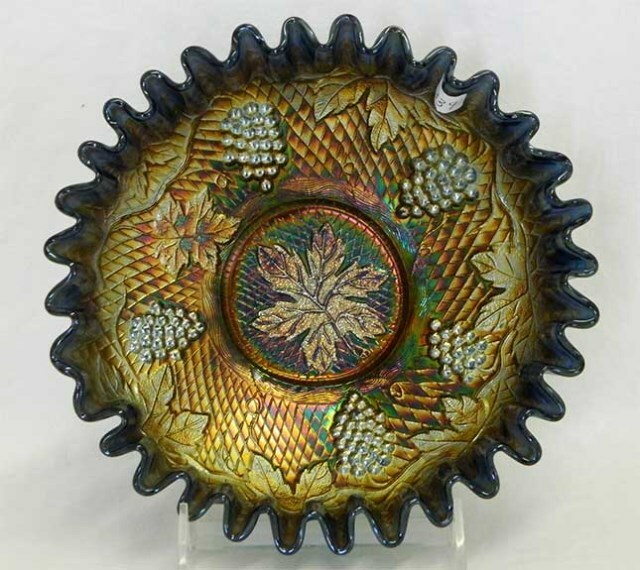 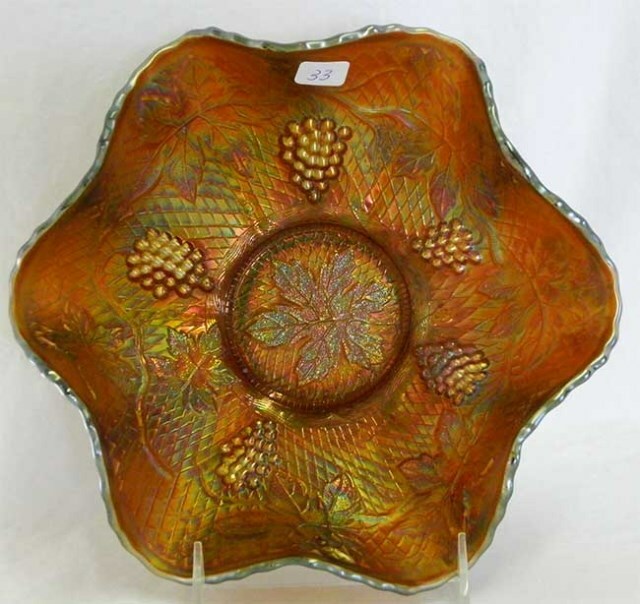 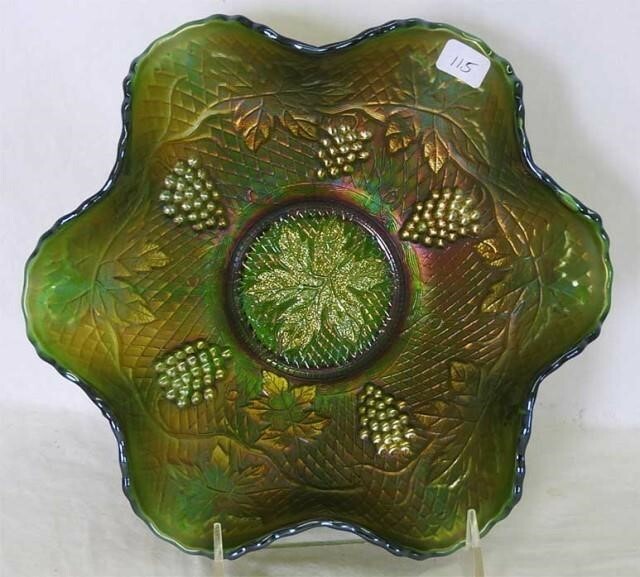 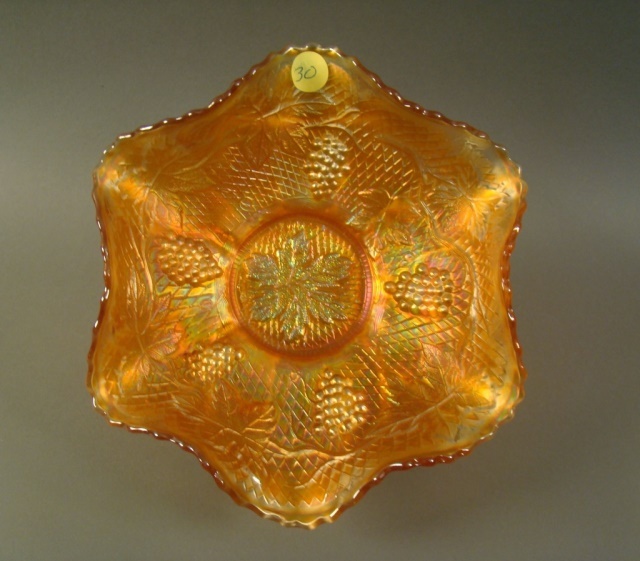 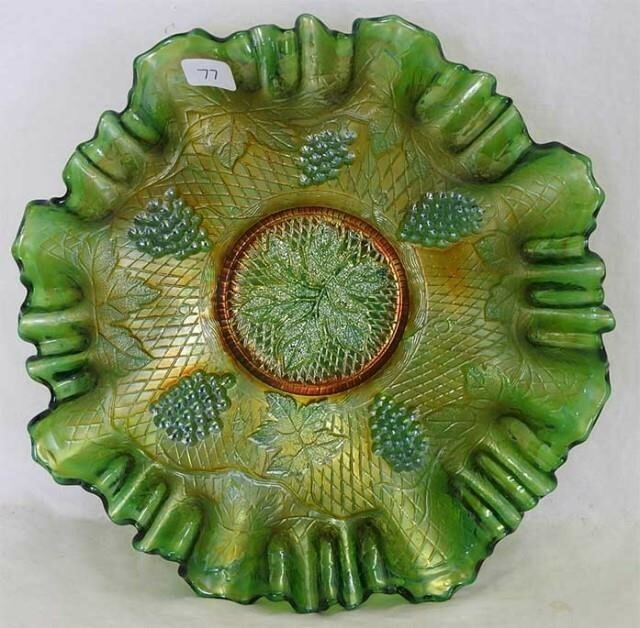 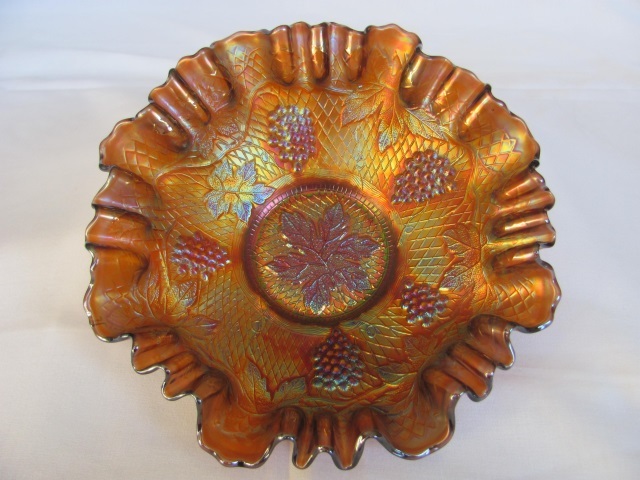 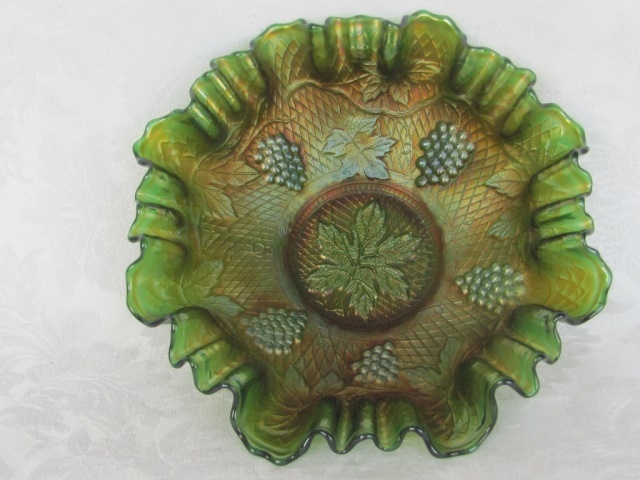 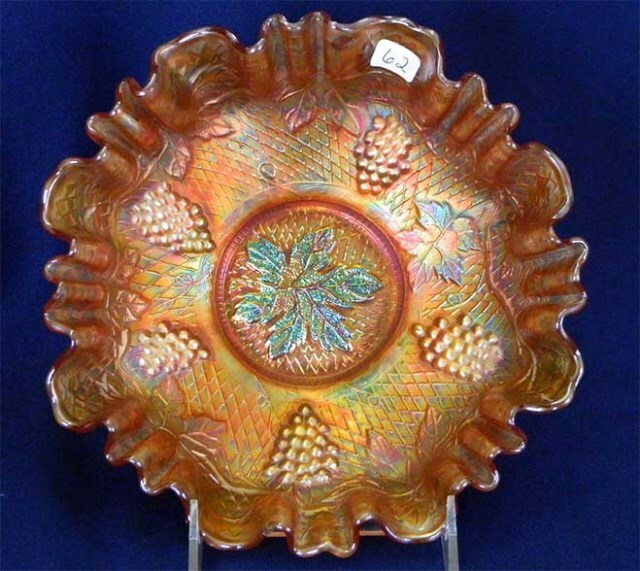 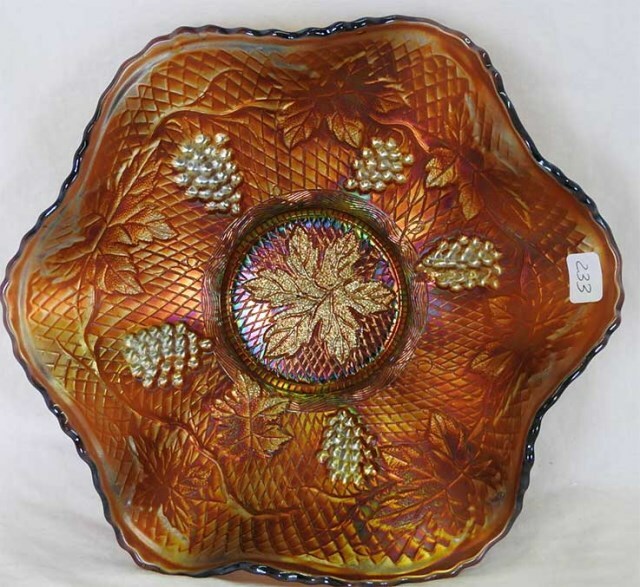 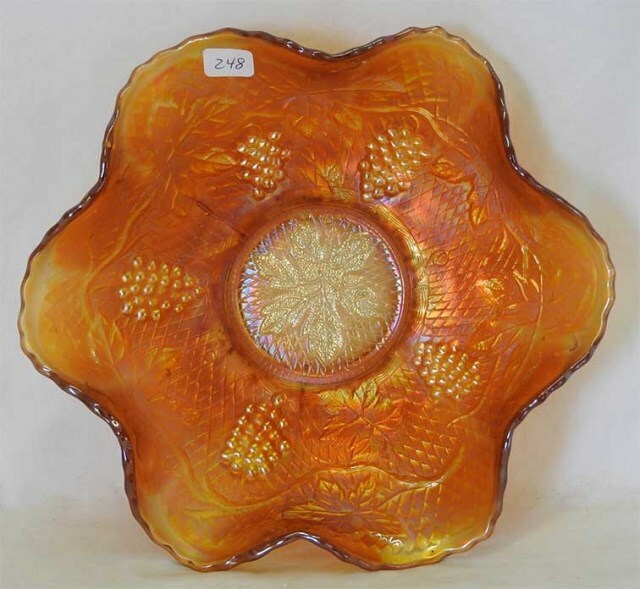 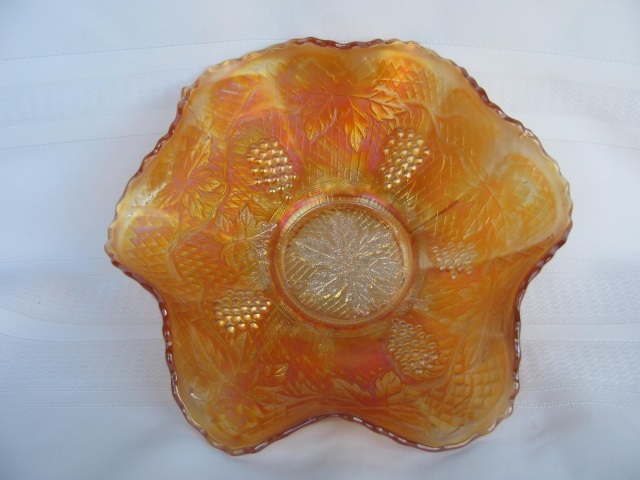 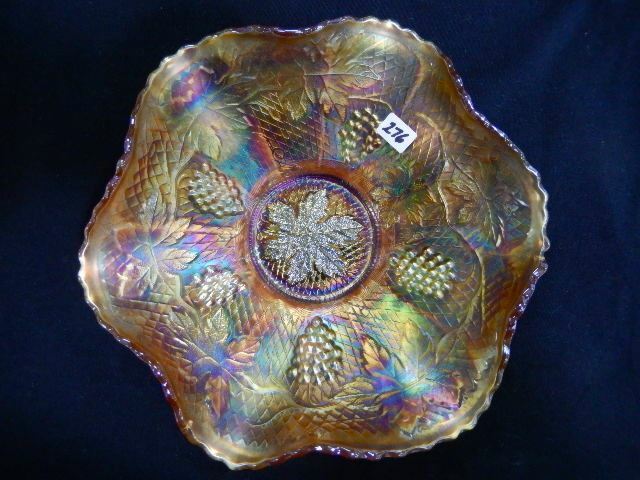 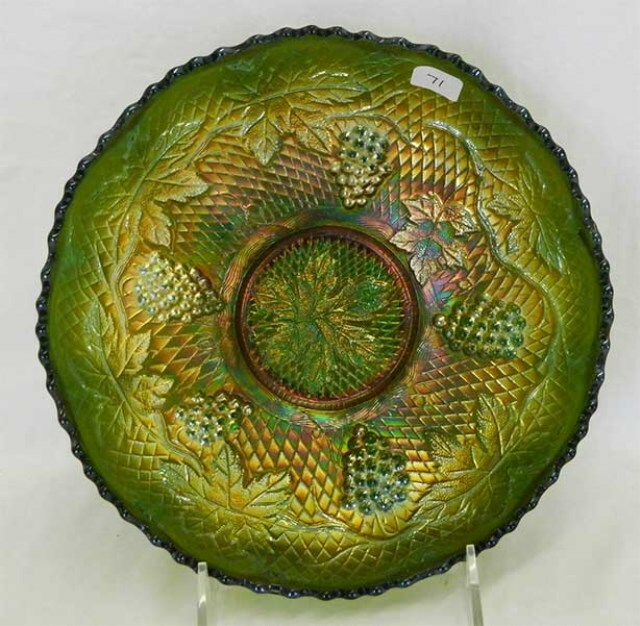 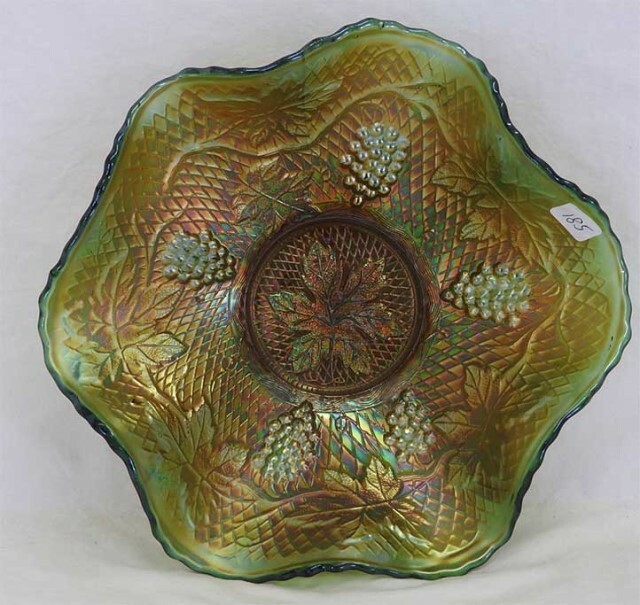 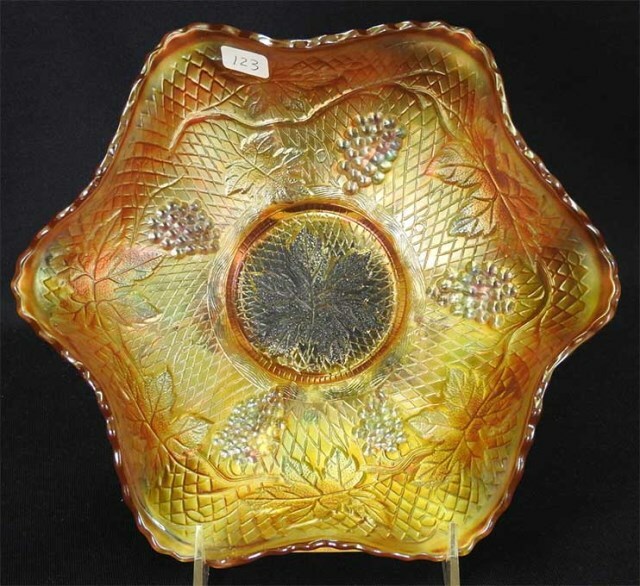 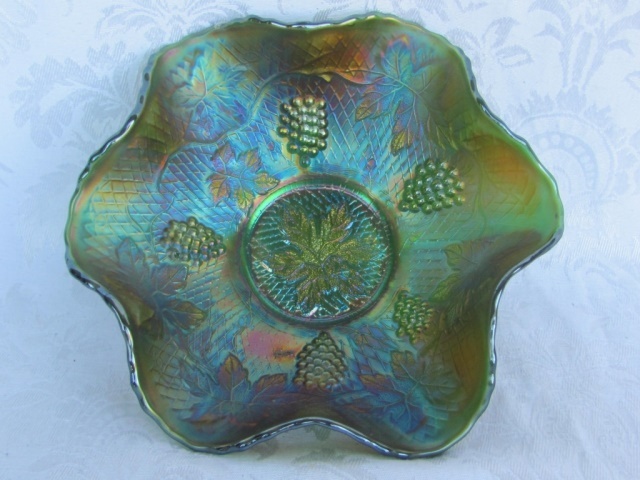 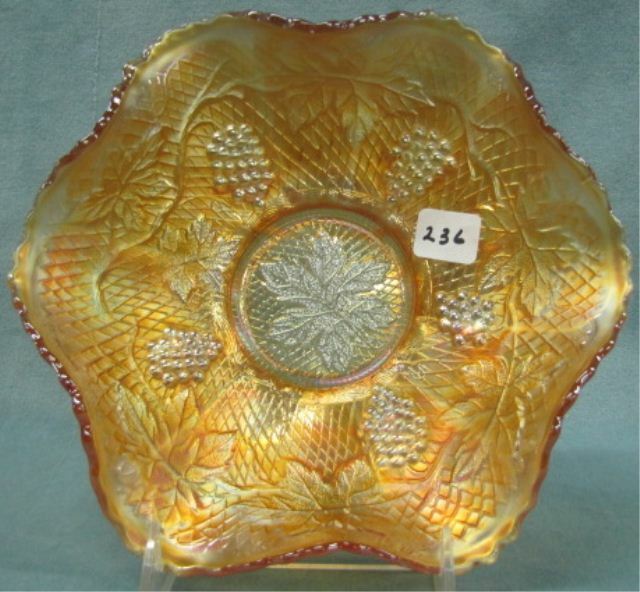 It is similar to Fenton's Vintage pattern and some speculate that it may have been retooled from a Vintage mold. 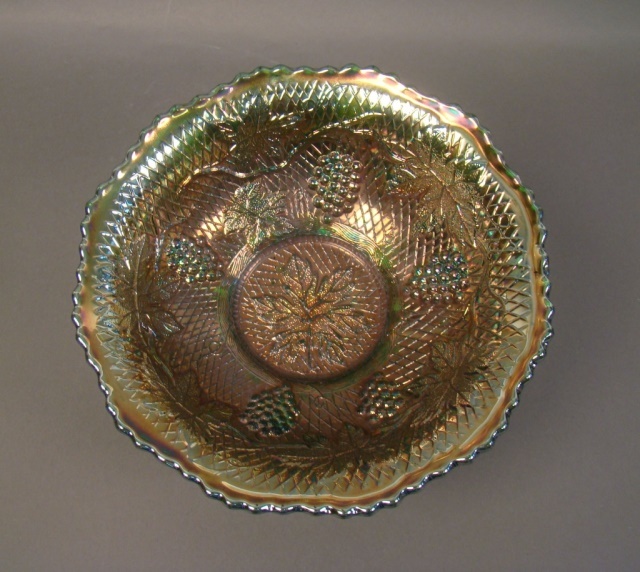 Ice cream and candy-ribbon edged bowls (above right) are scarce.